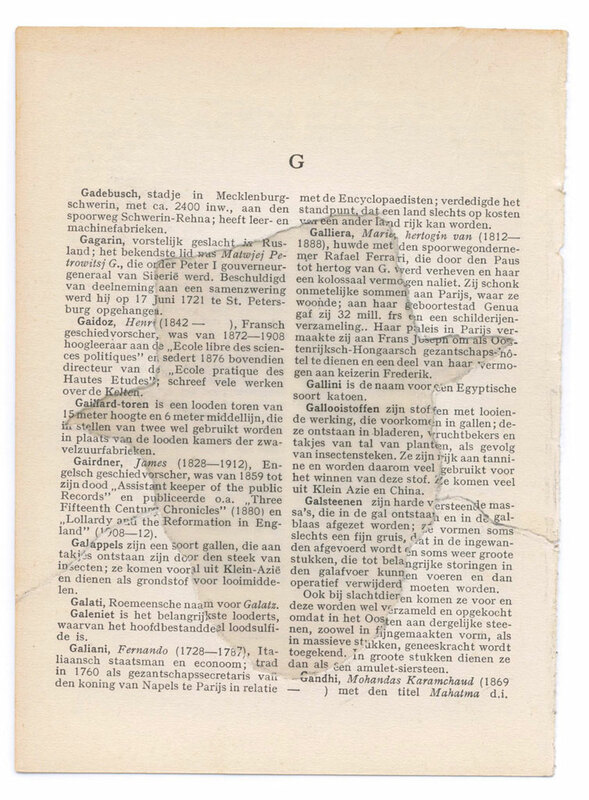 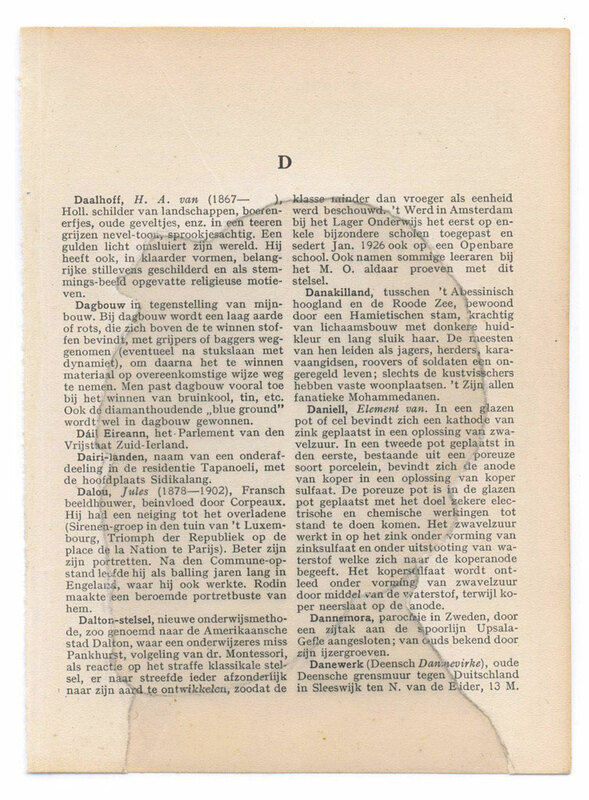 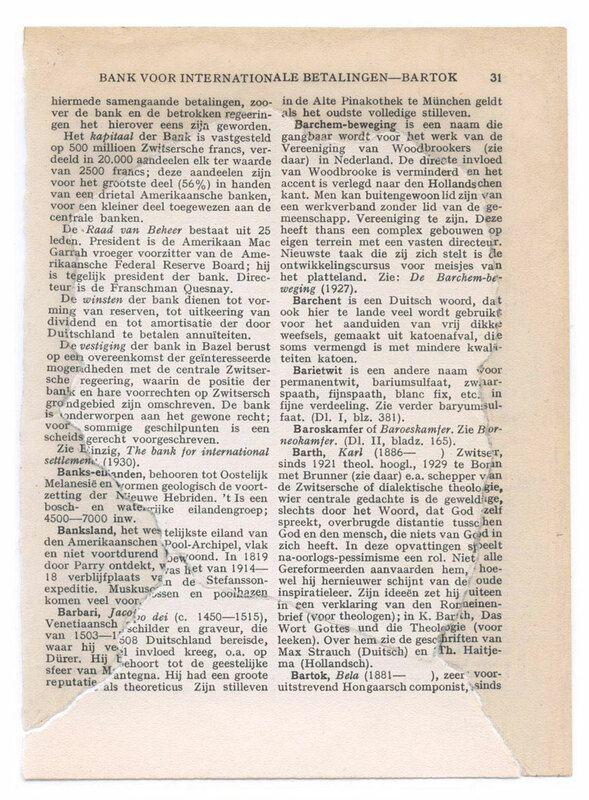 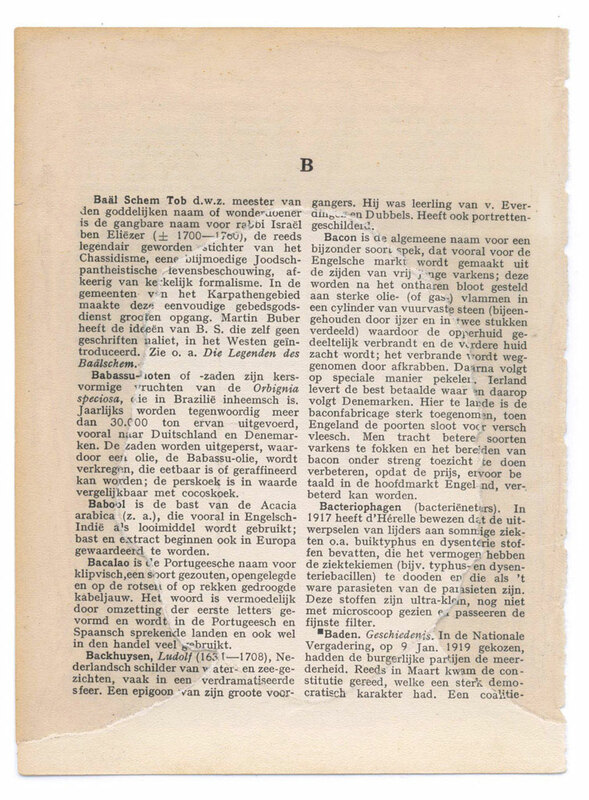 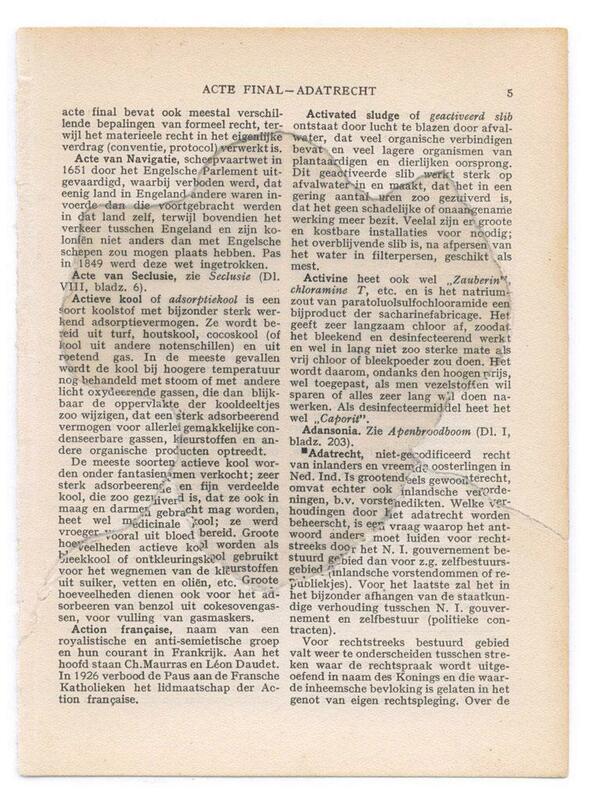 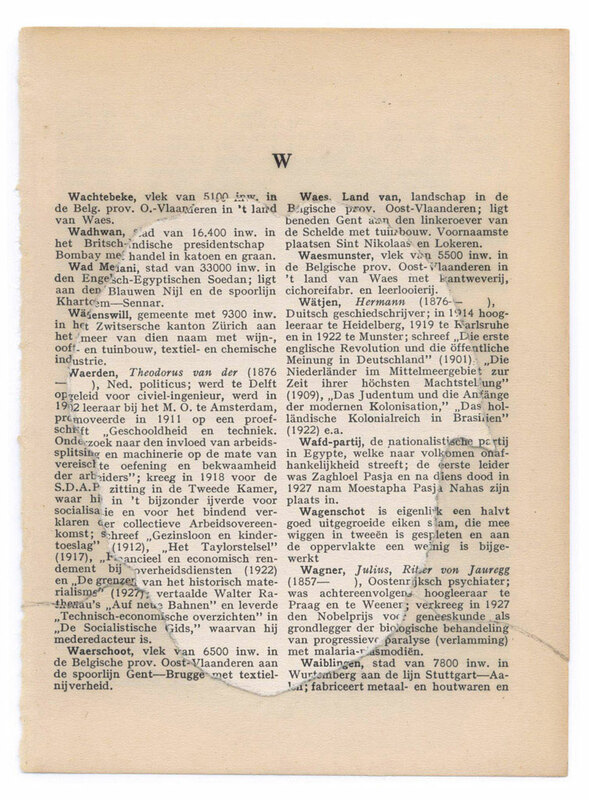 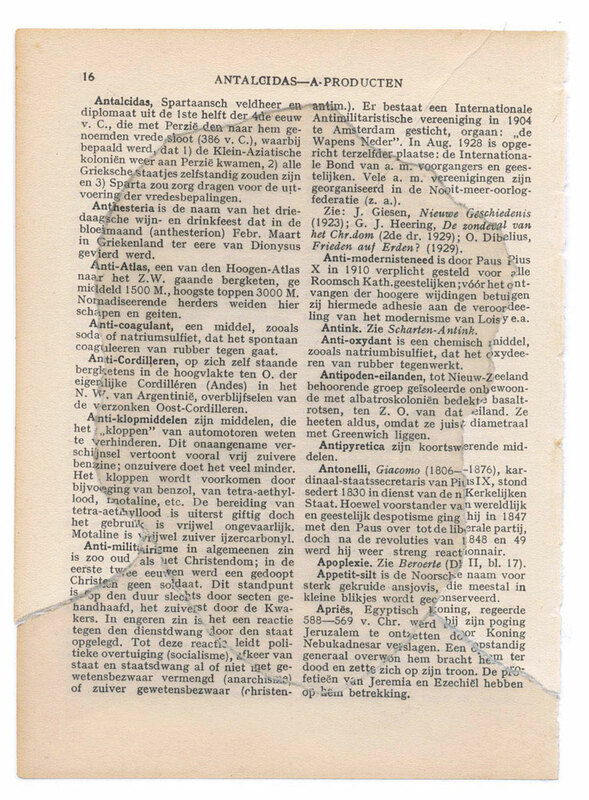 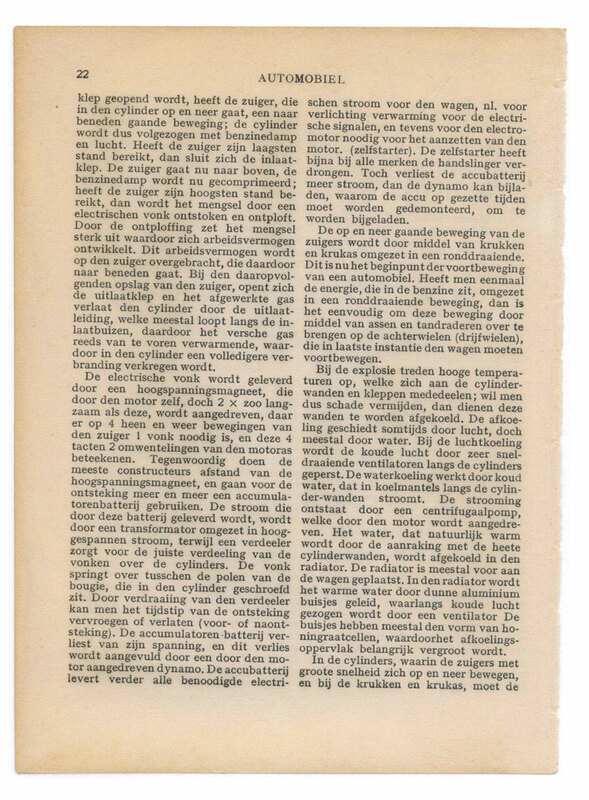 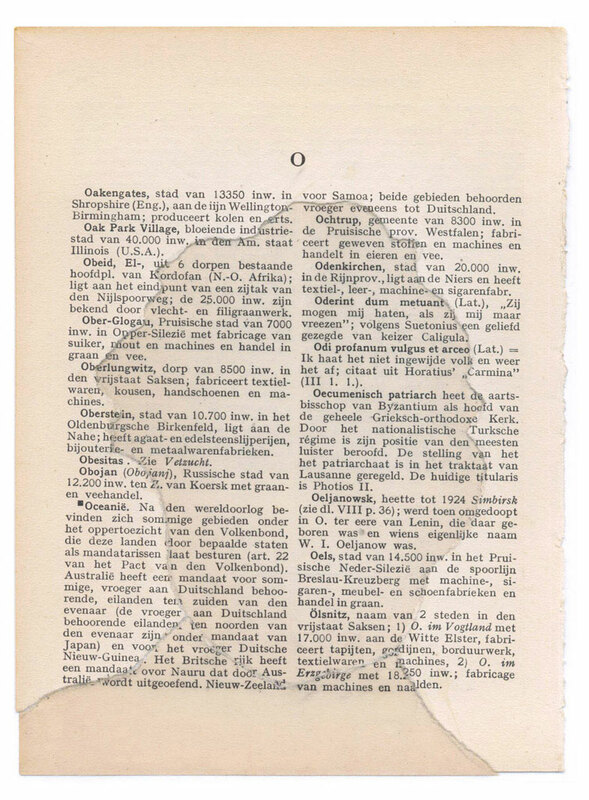 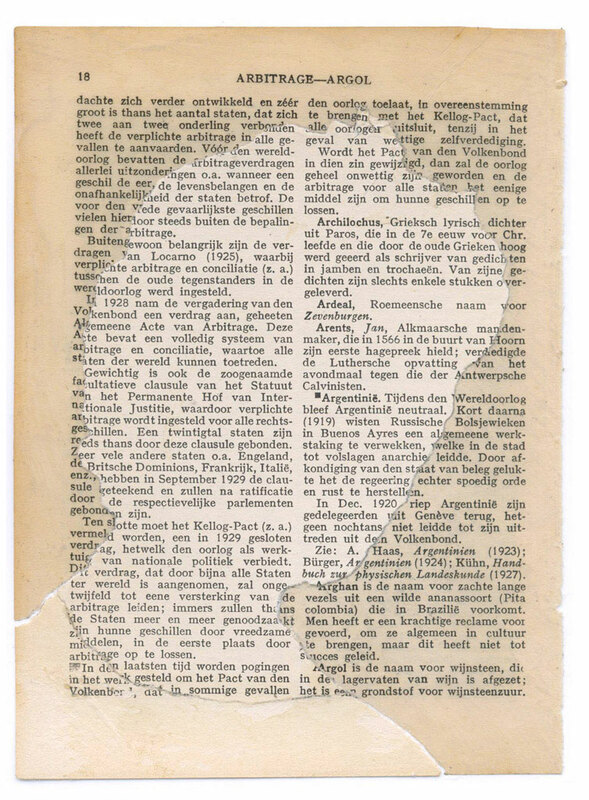 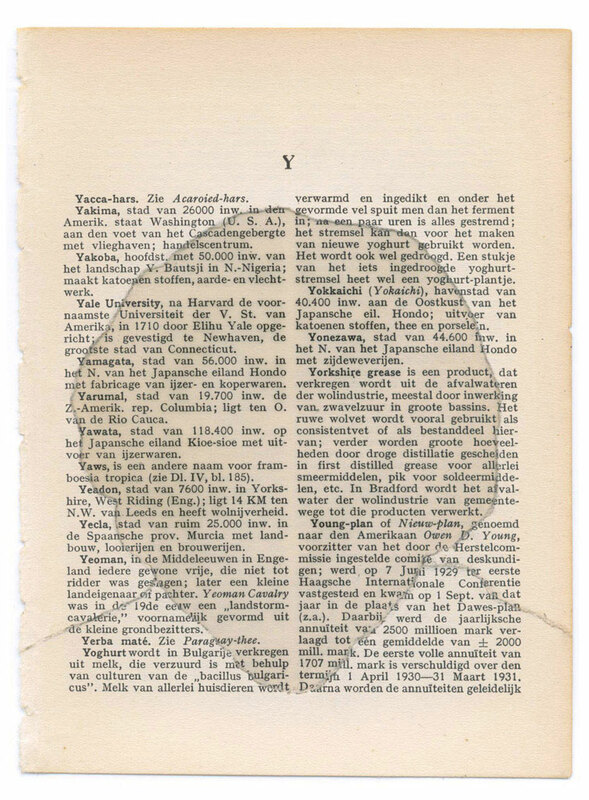 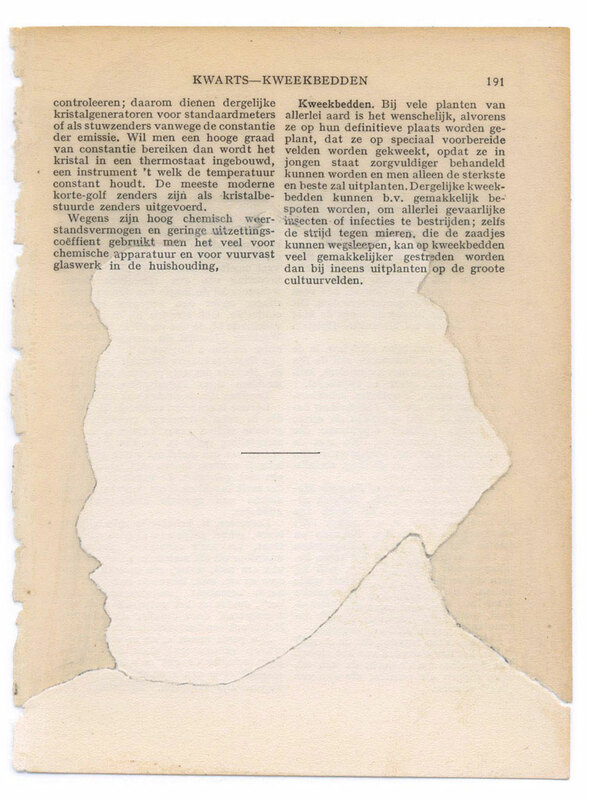 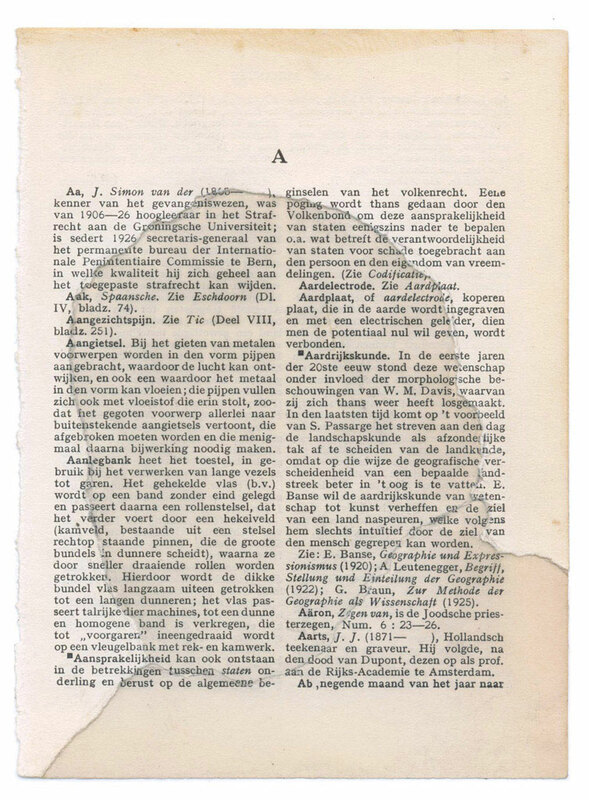 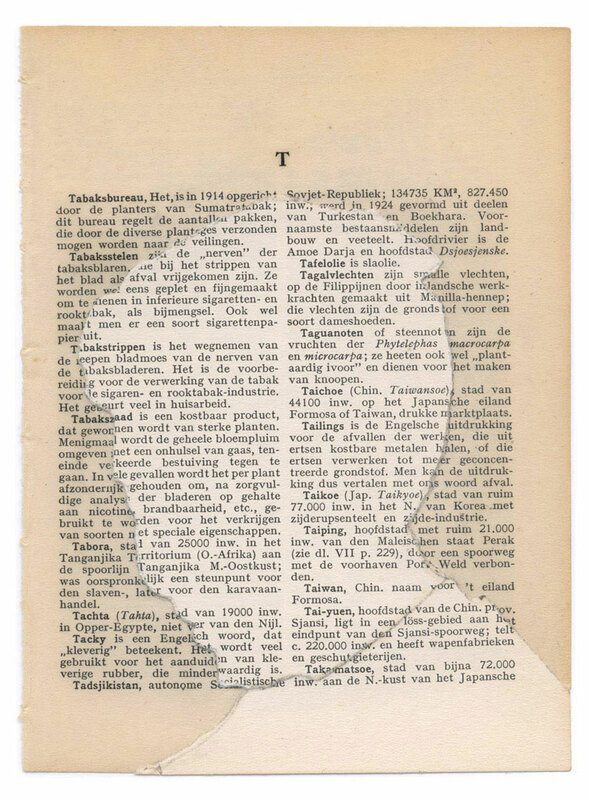 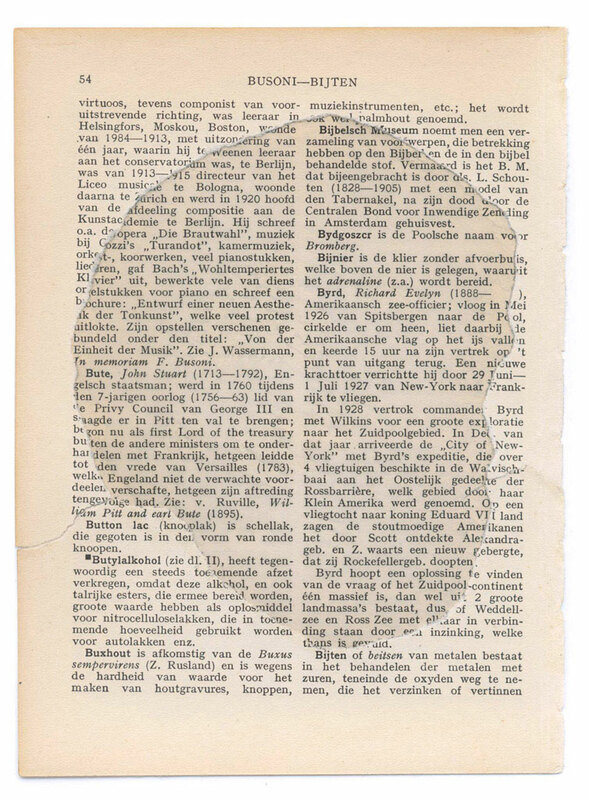 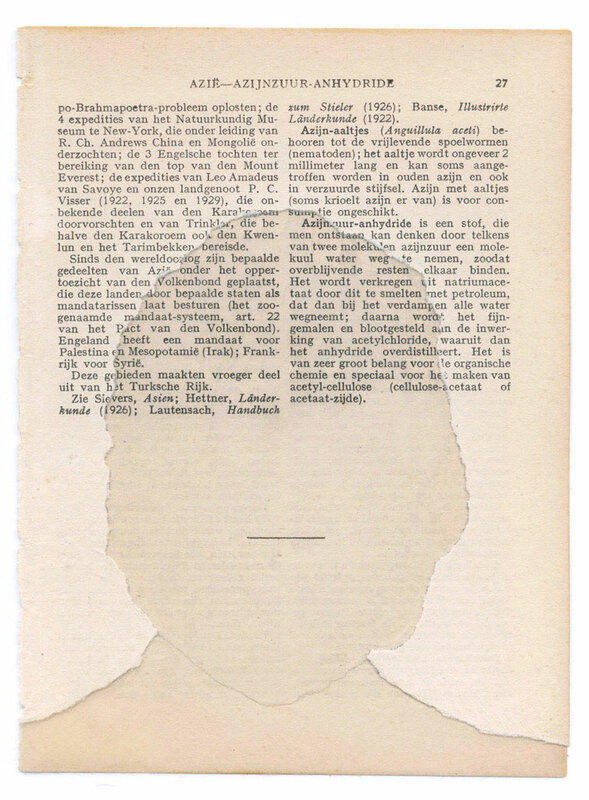 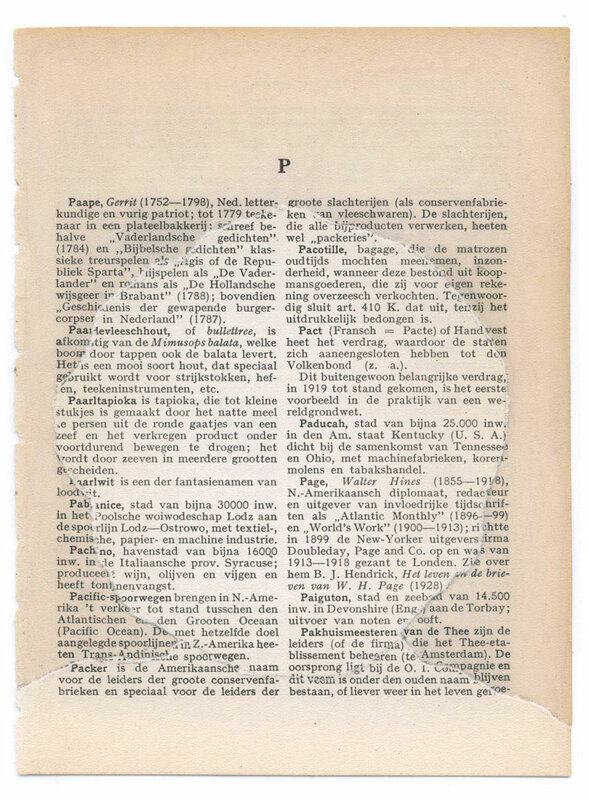 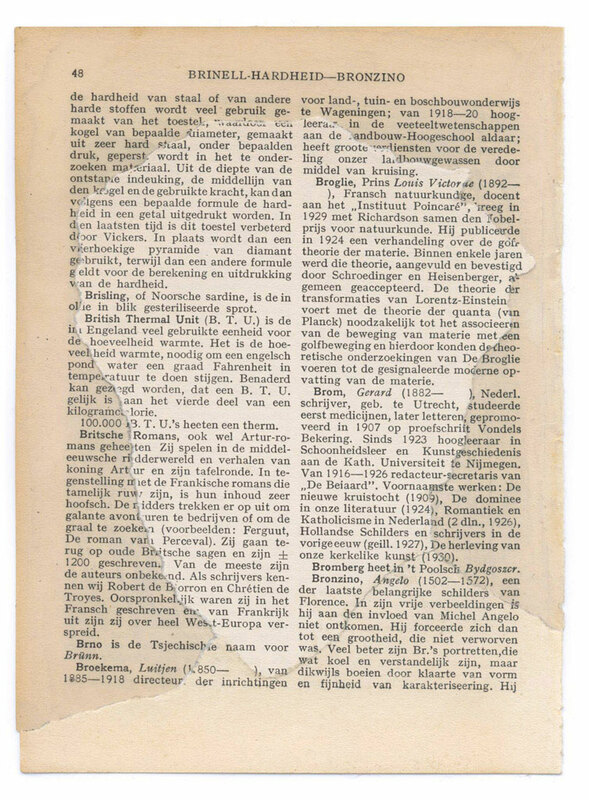 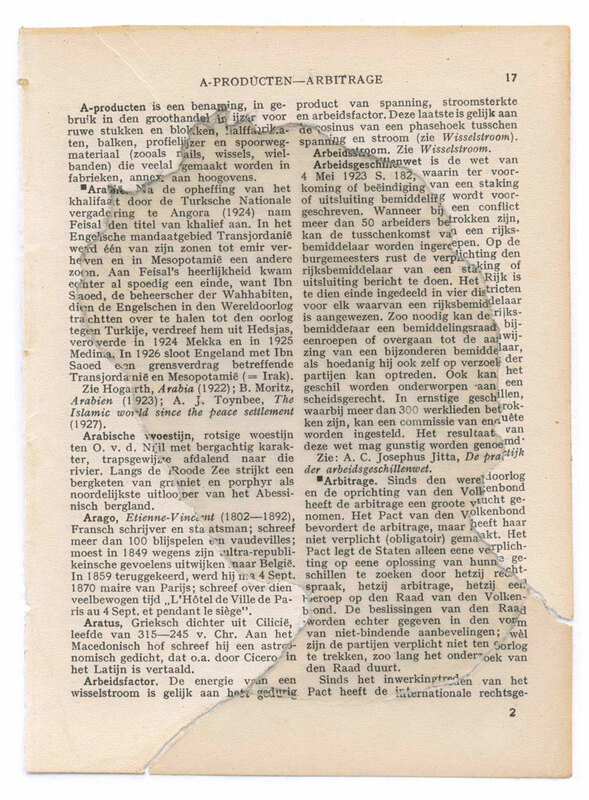 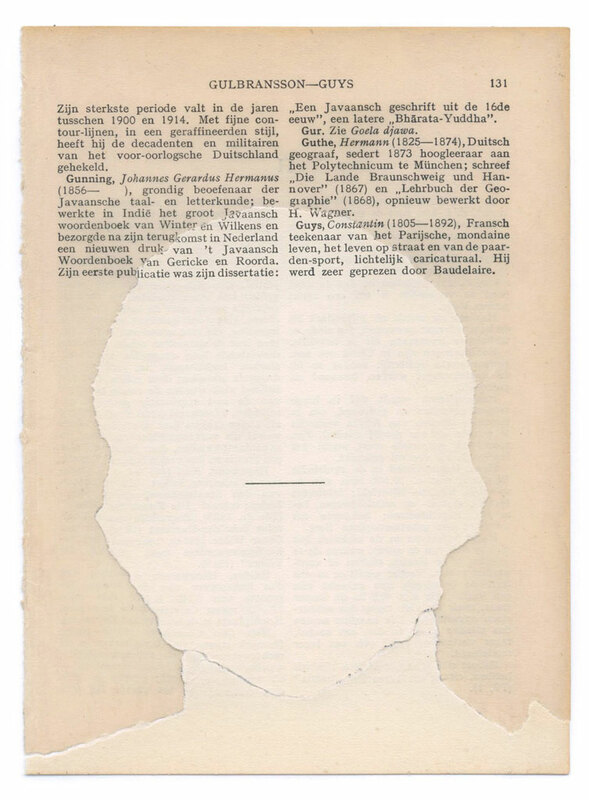 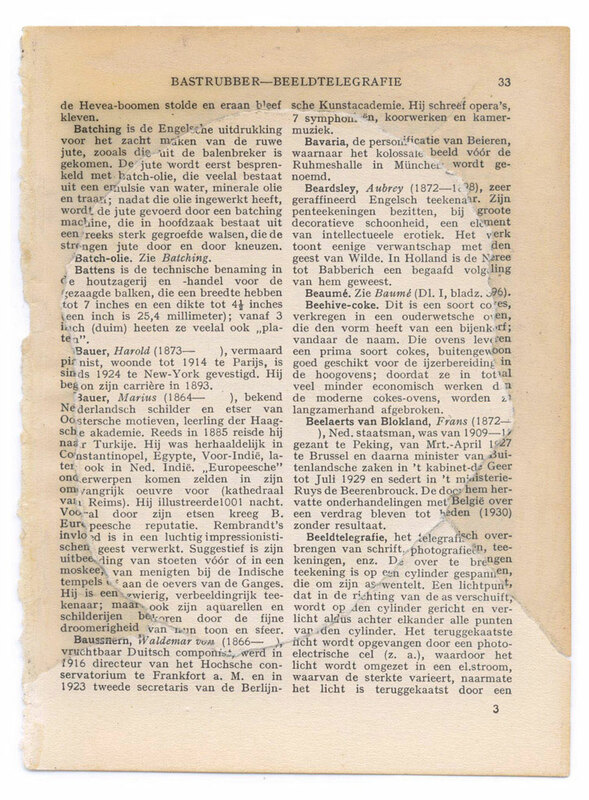 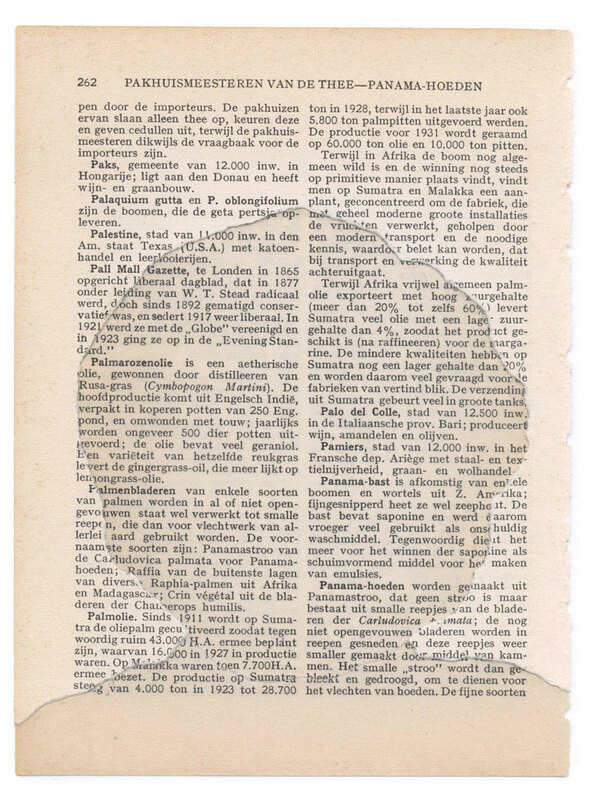 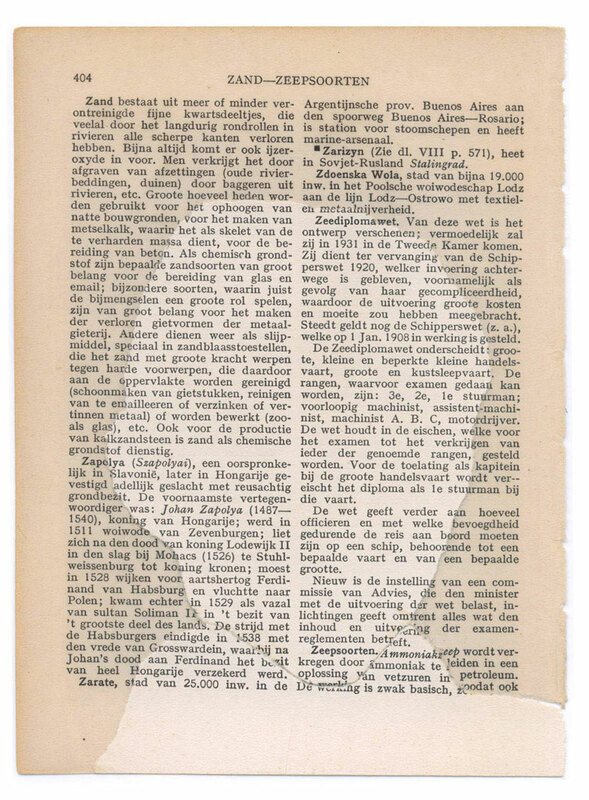 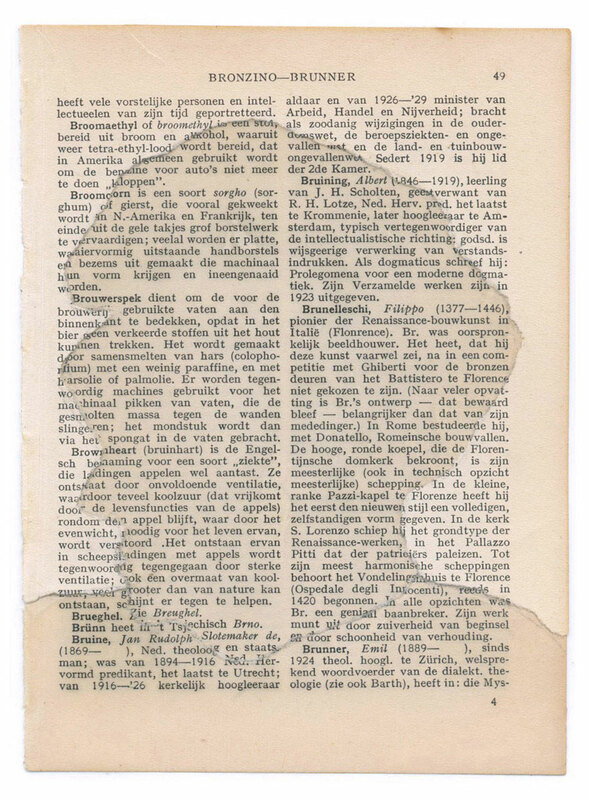 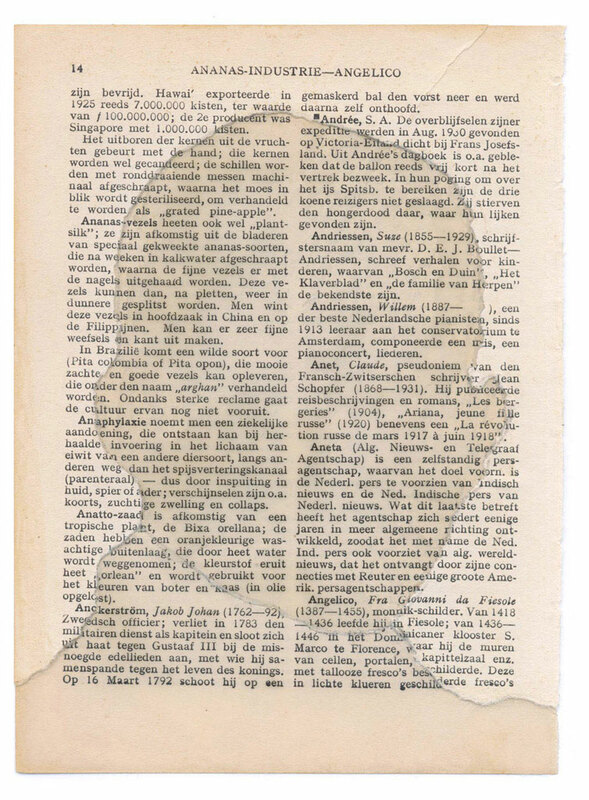 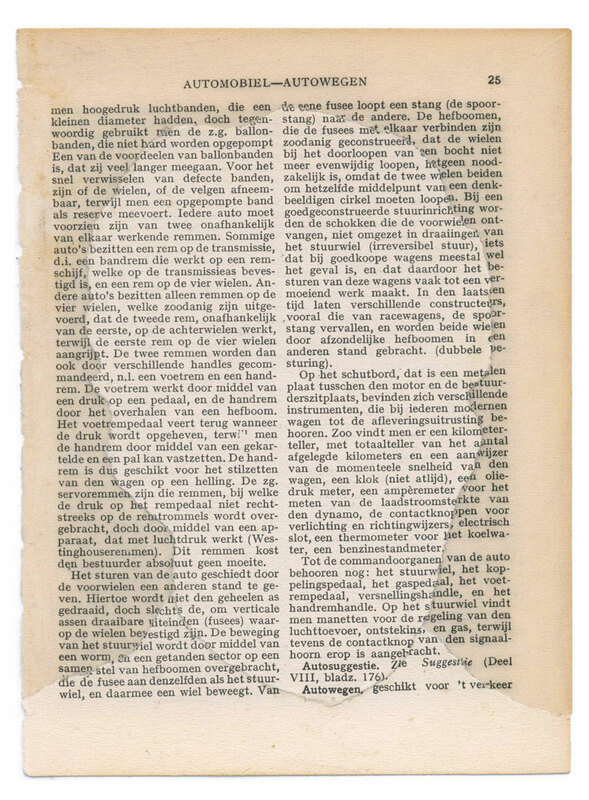 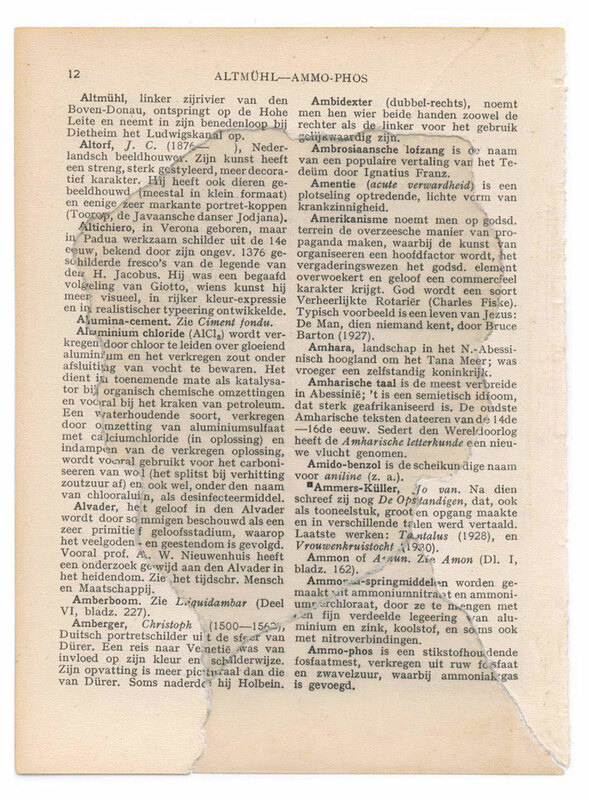 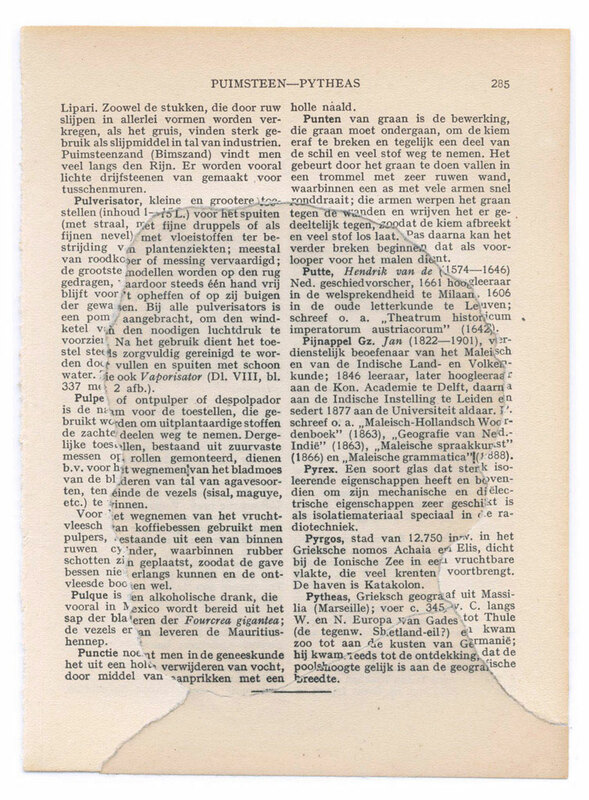 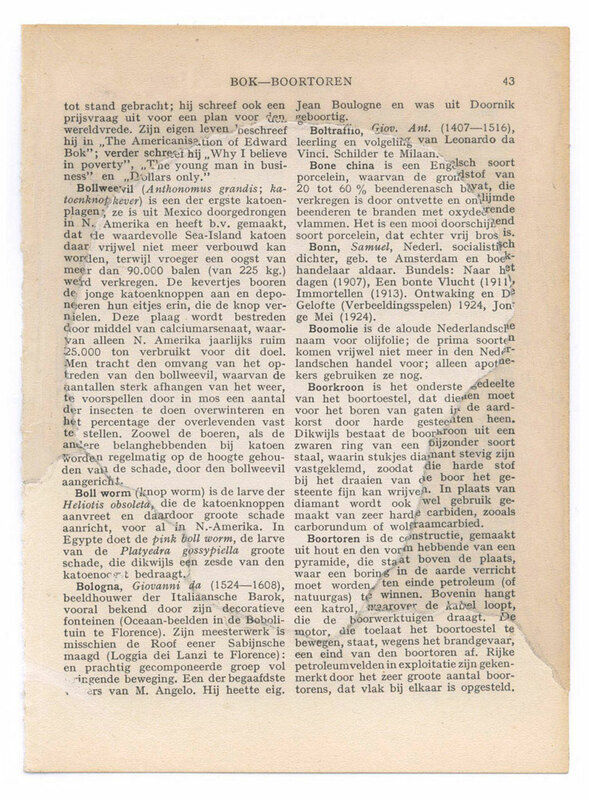 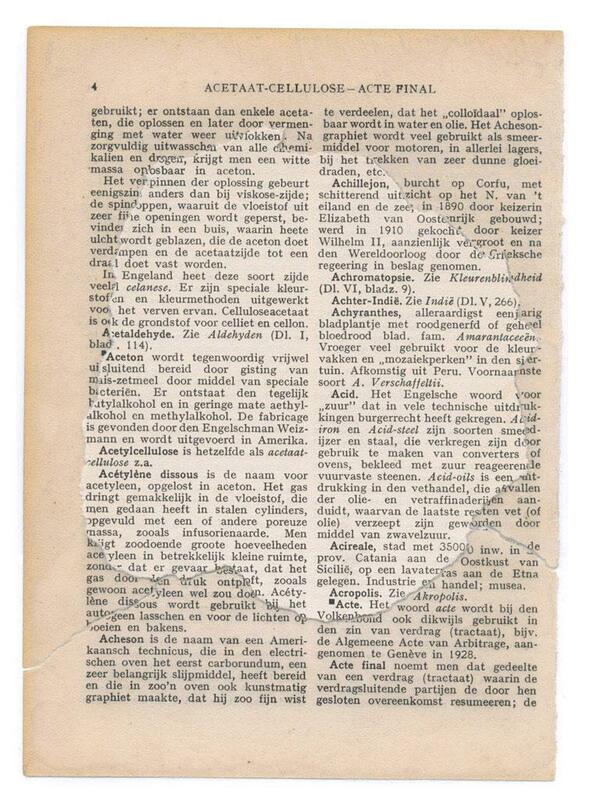 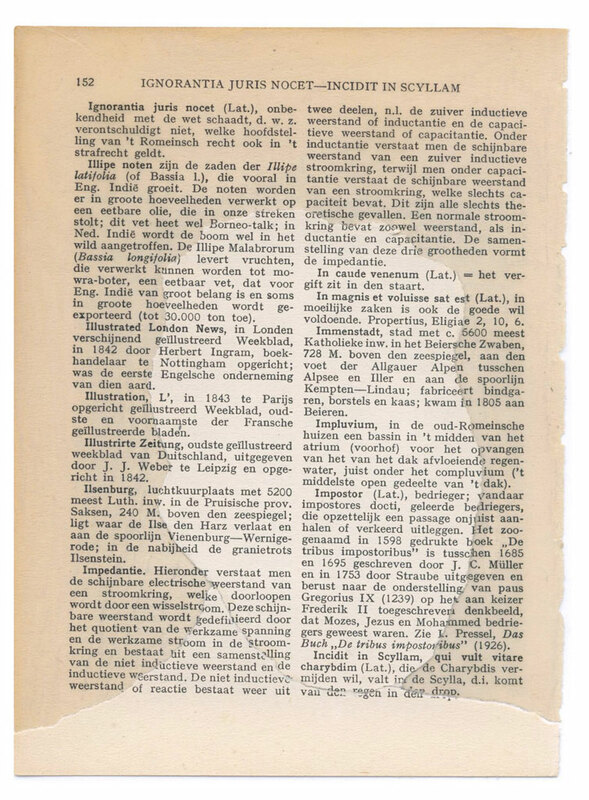 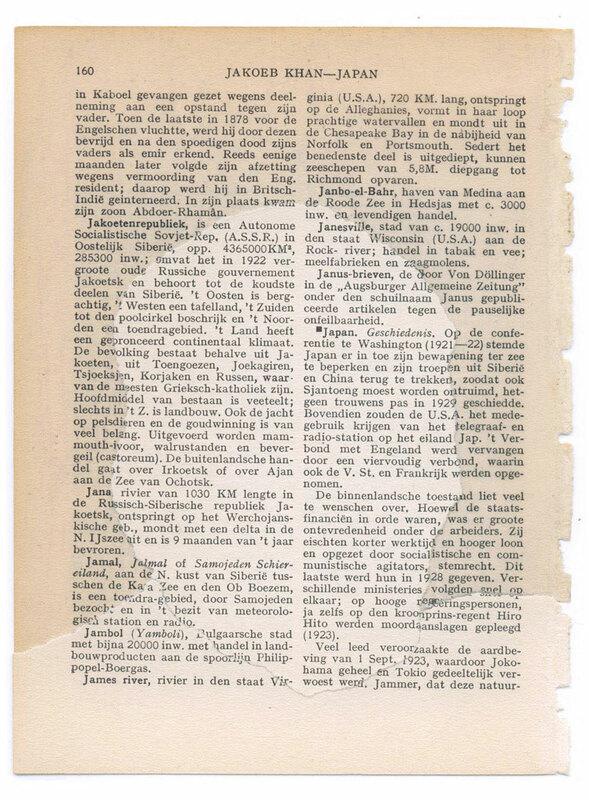 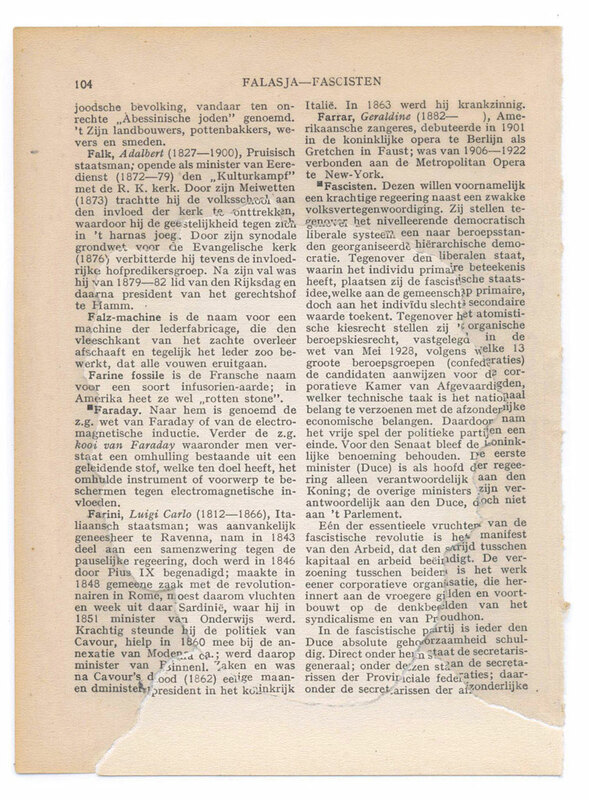 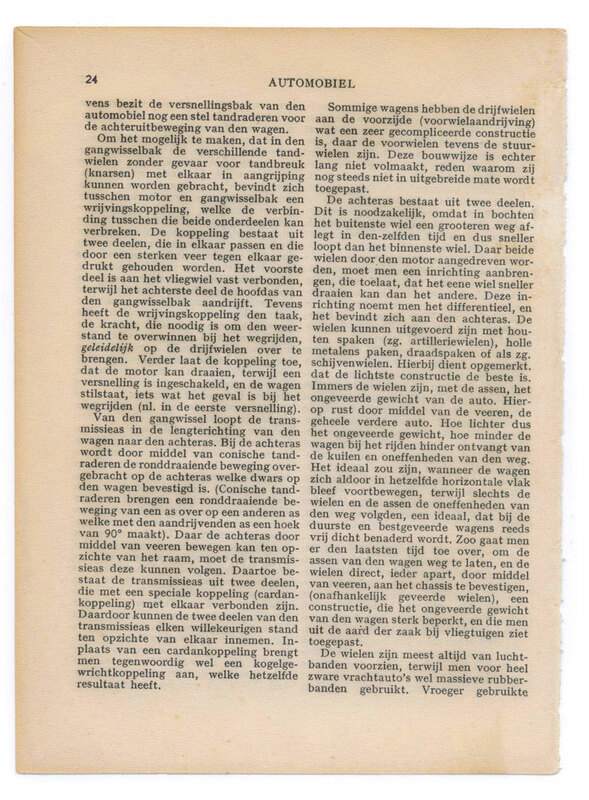 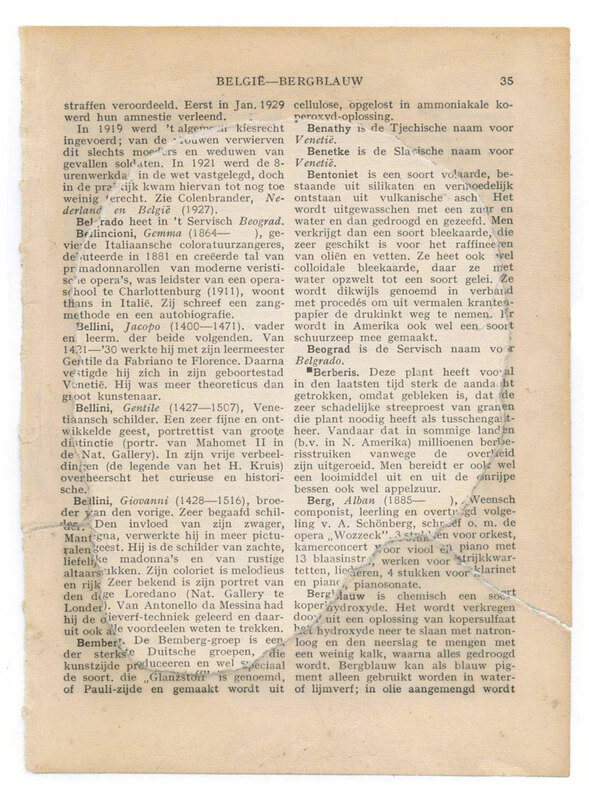 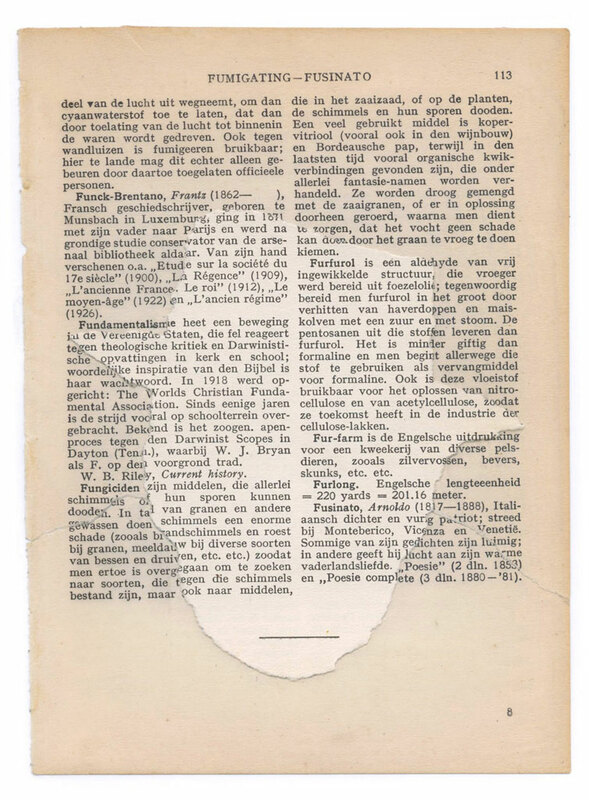 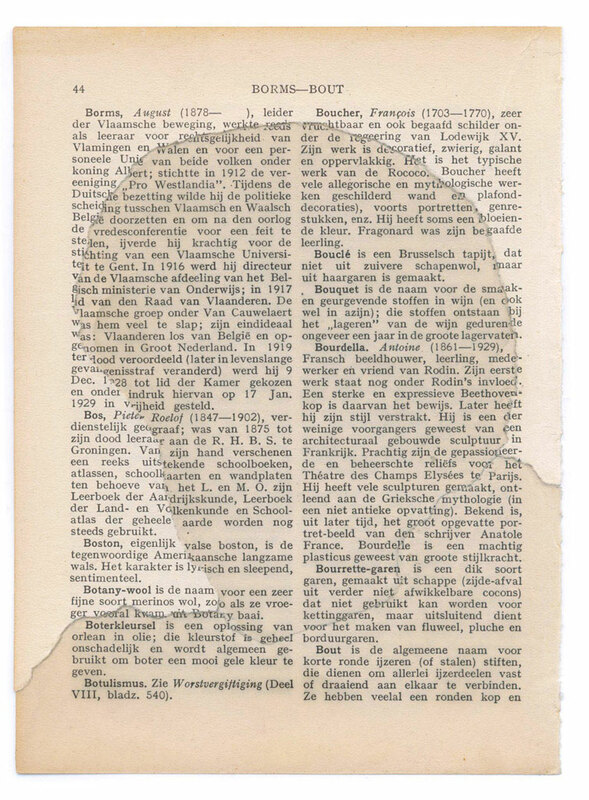 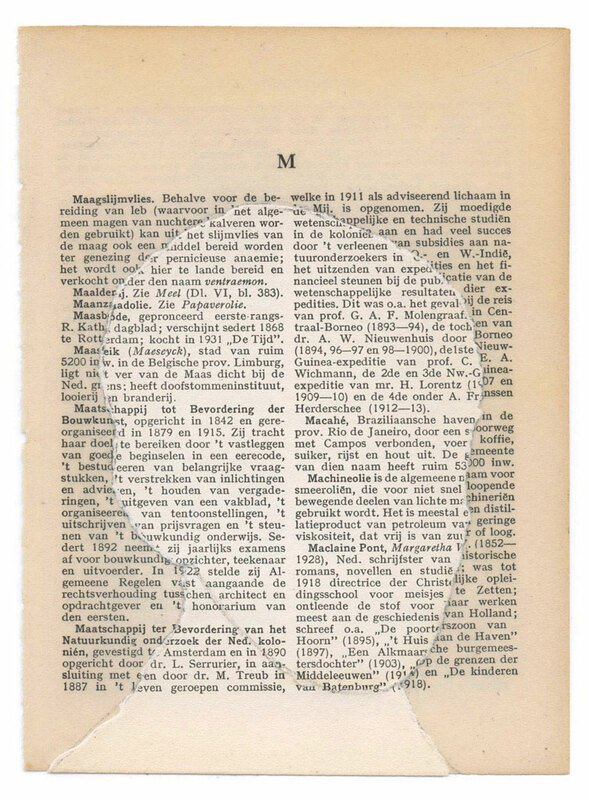 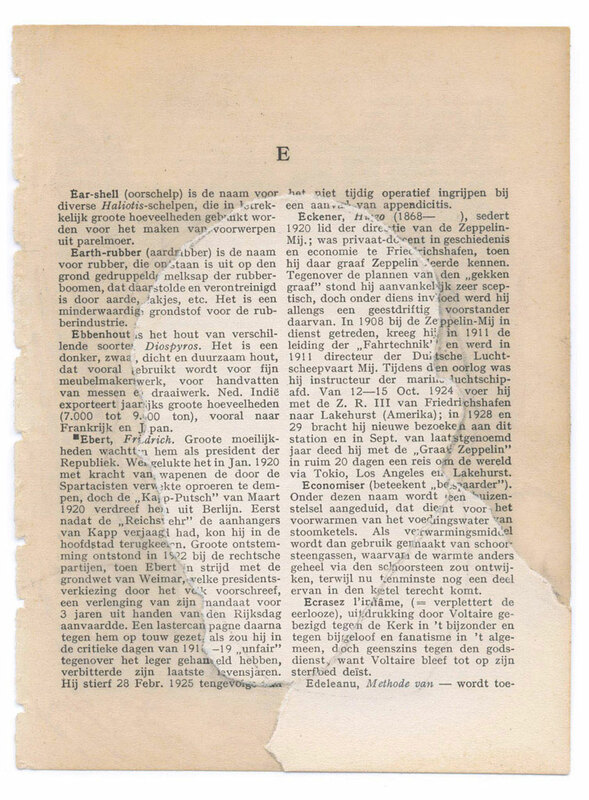 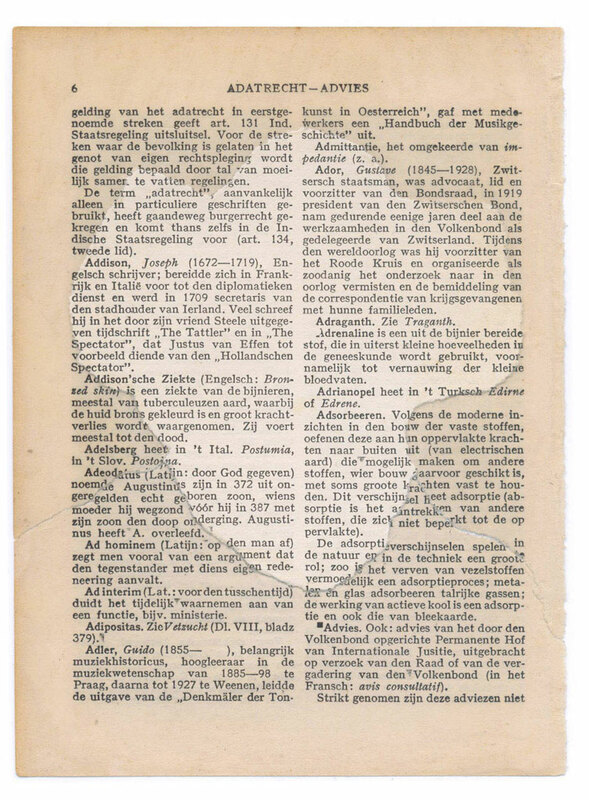 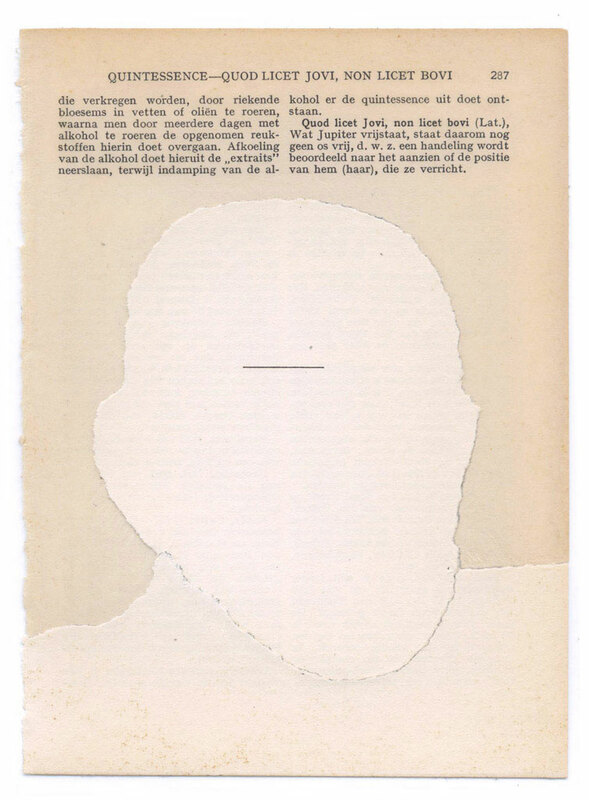 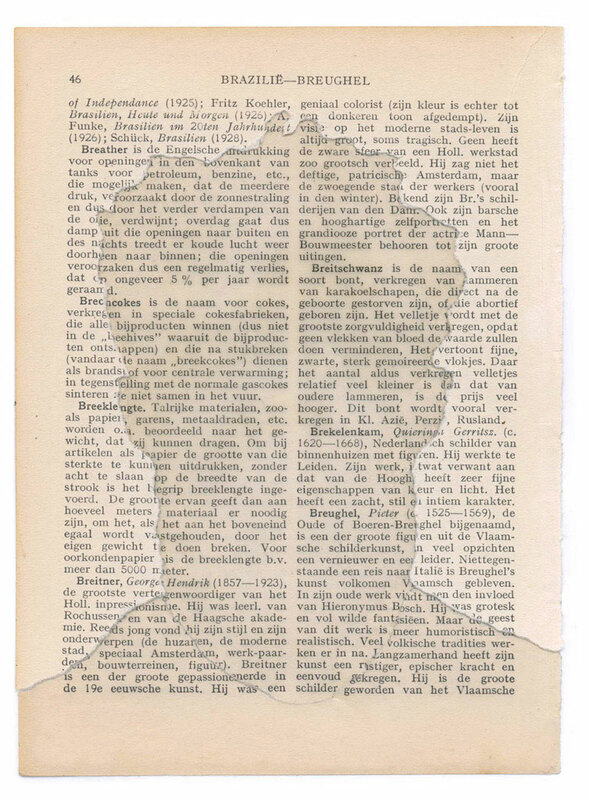 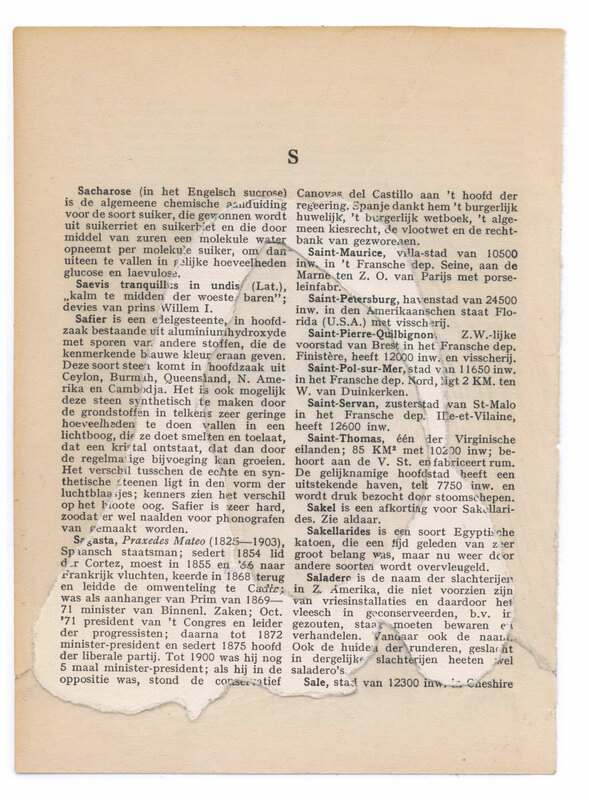 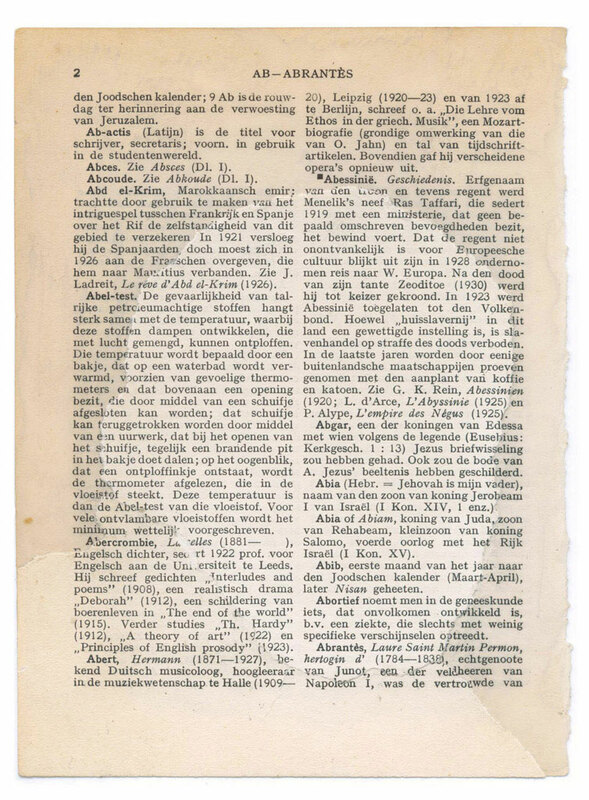 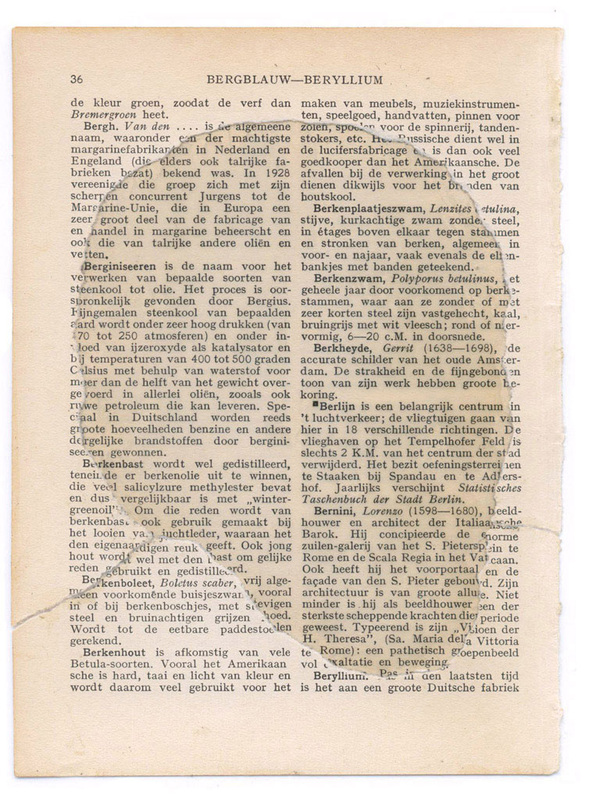 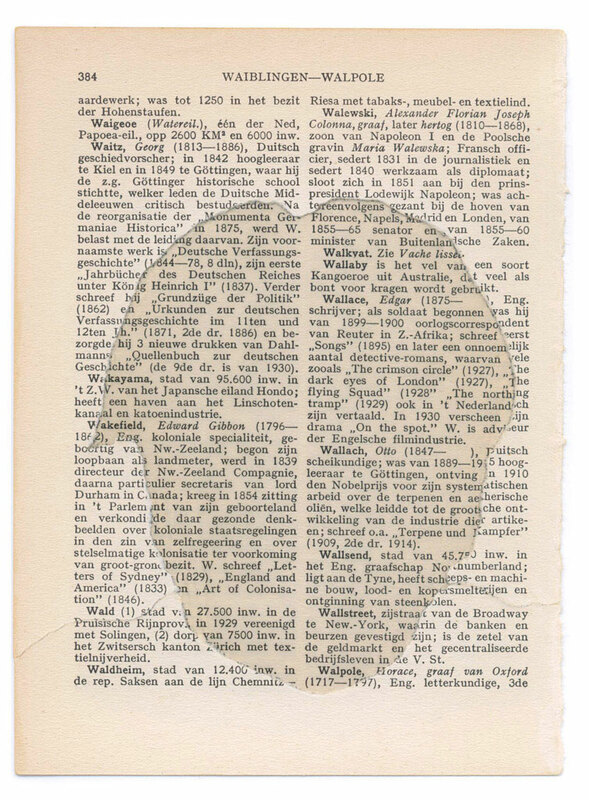 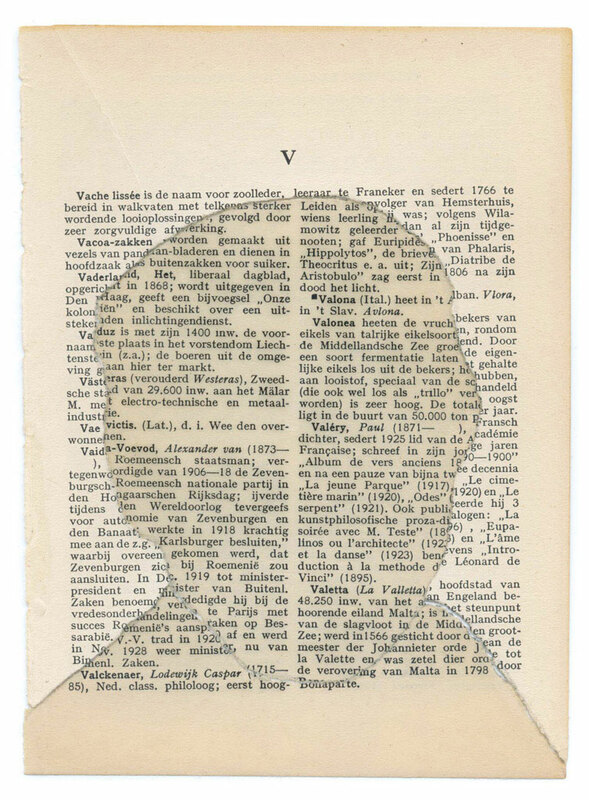 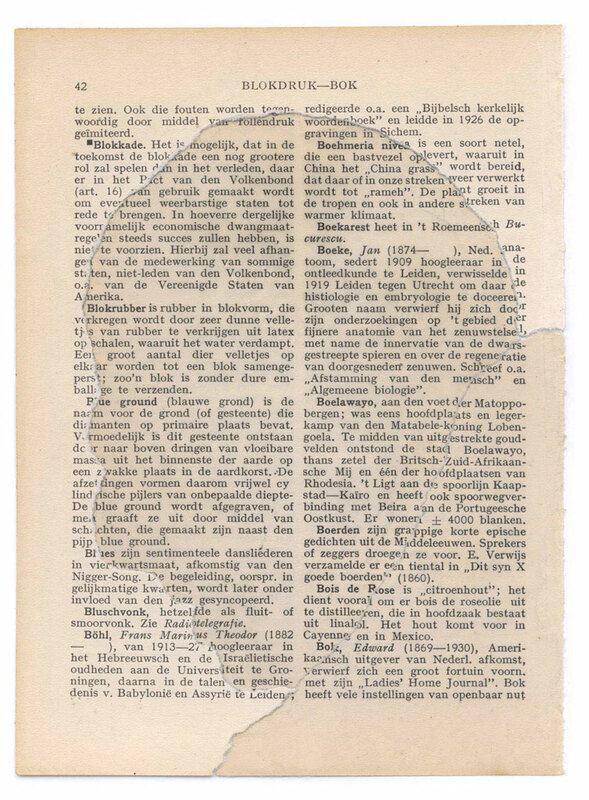 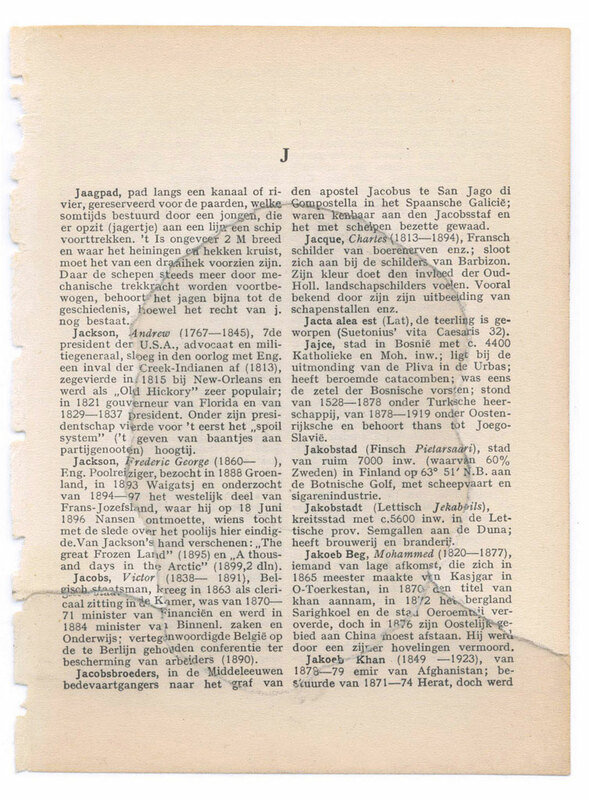 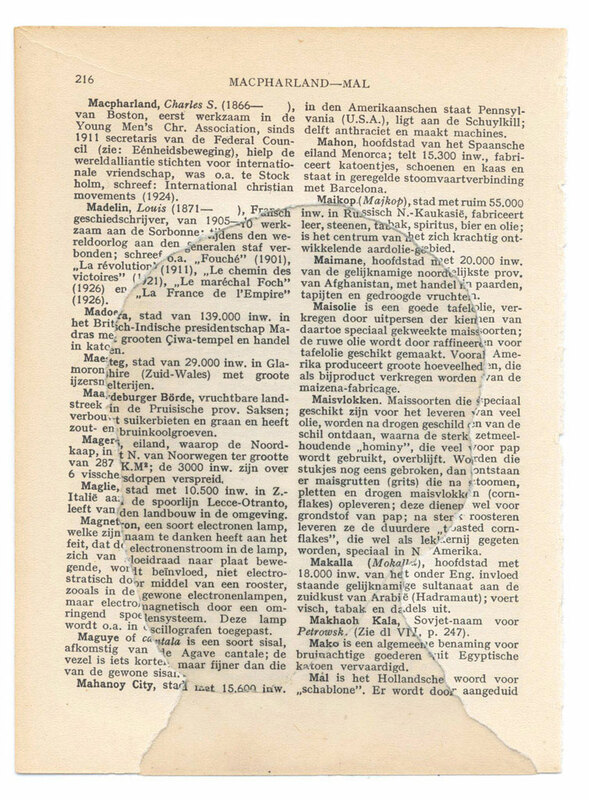 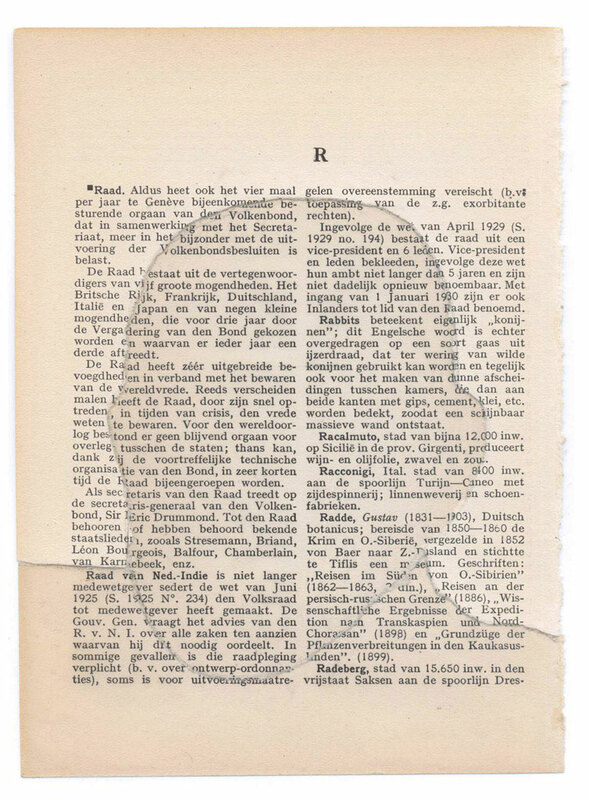 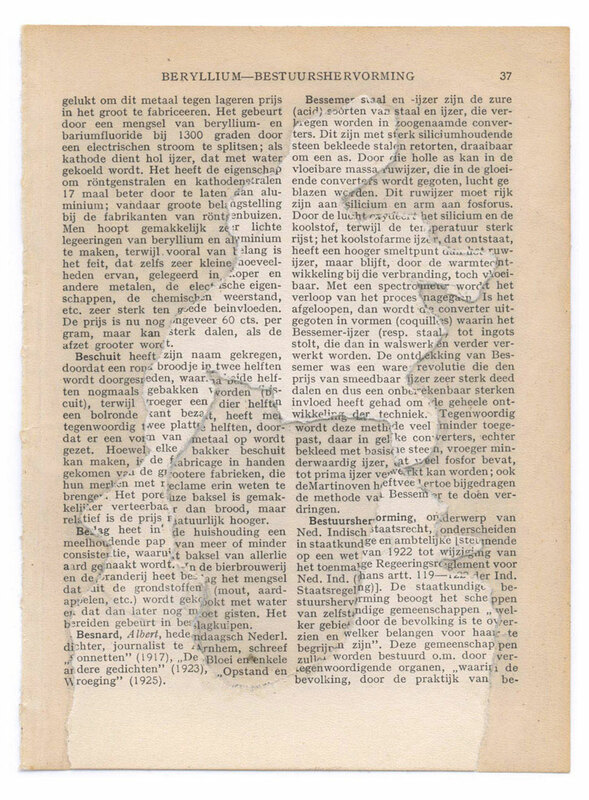 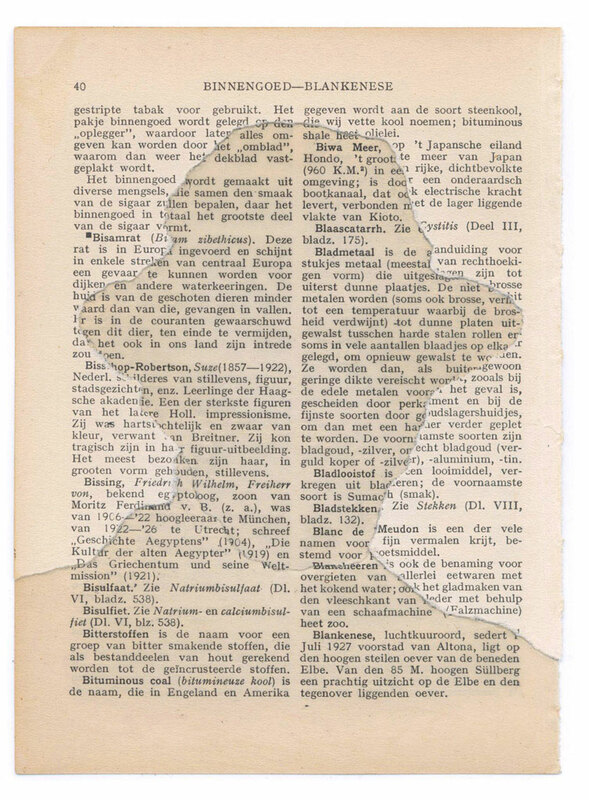 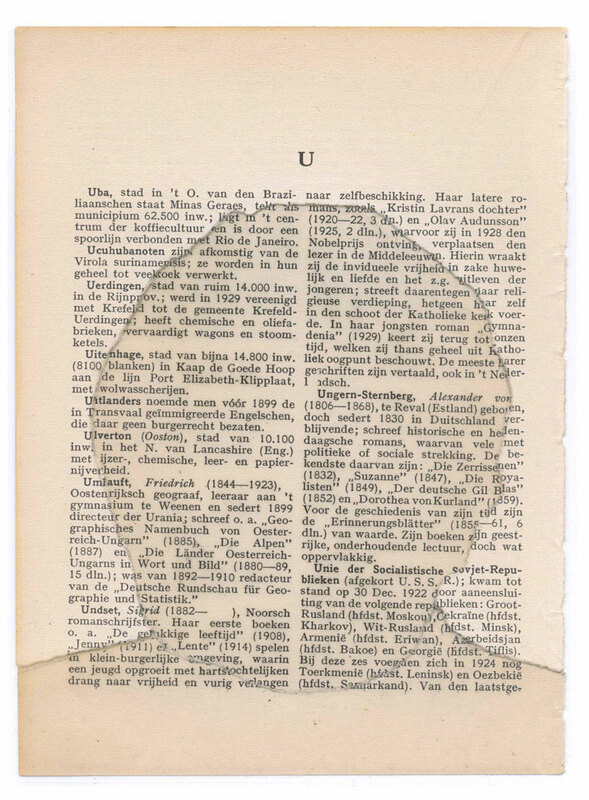 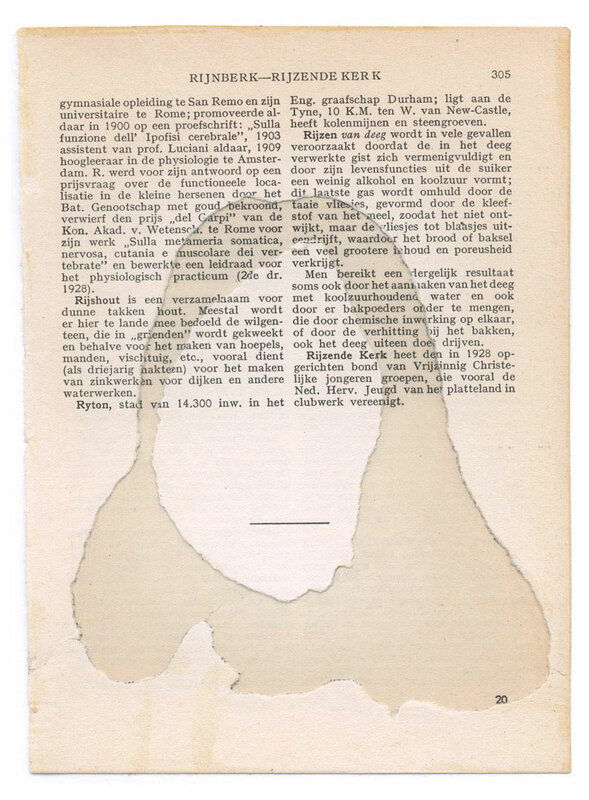 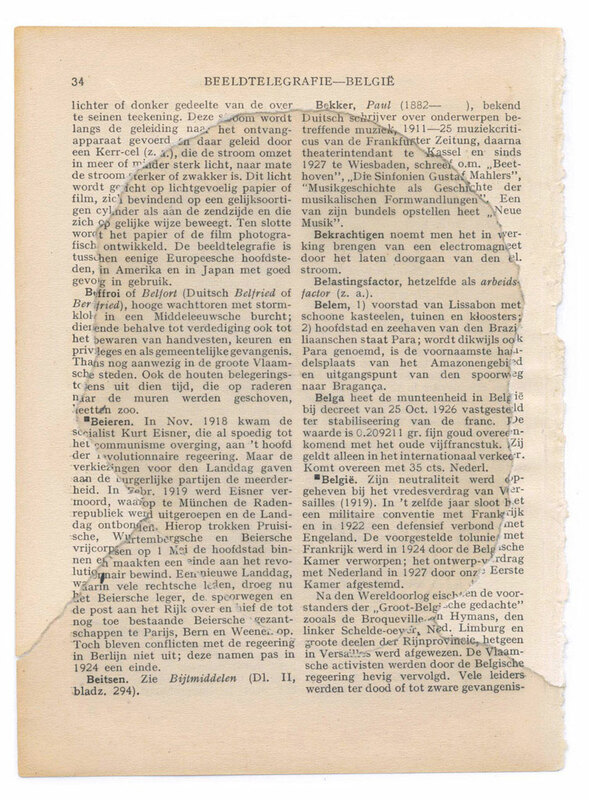 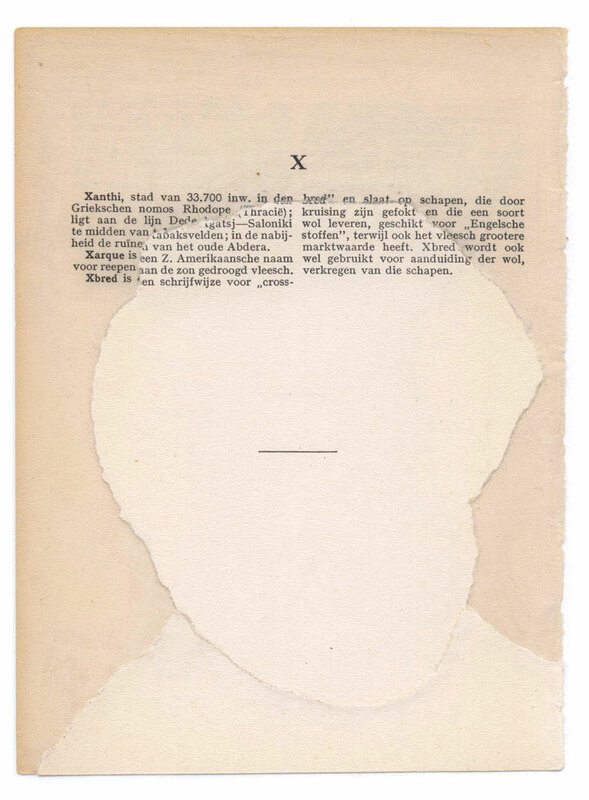 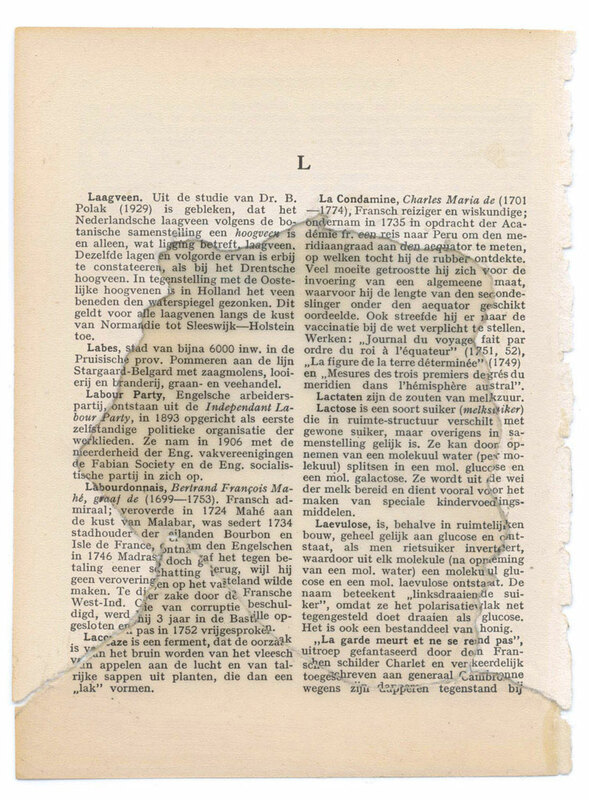 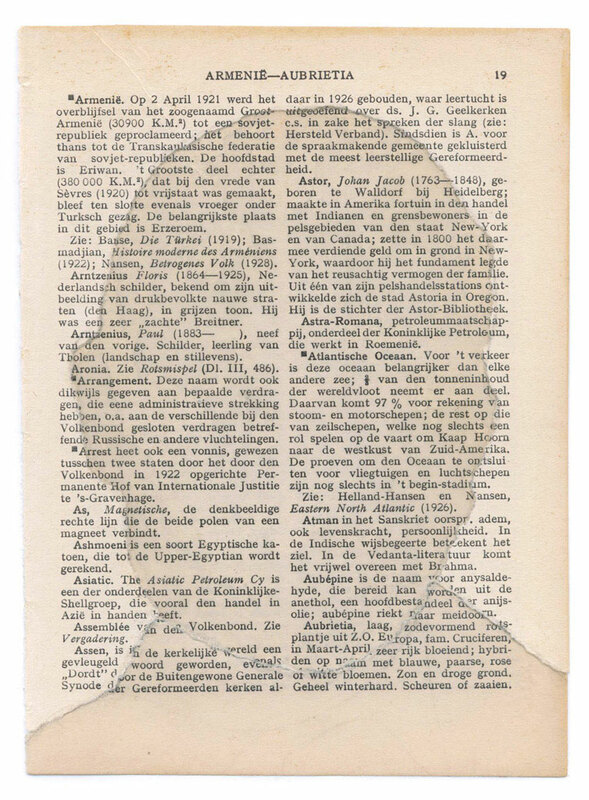 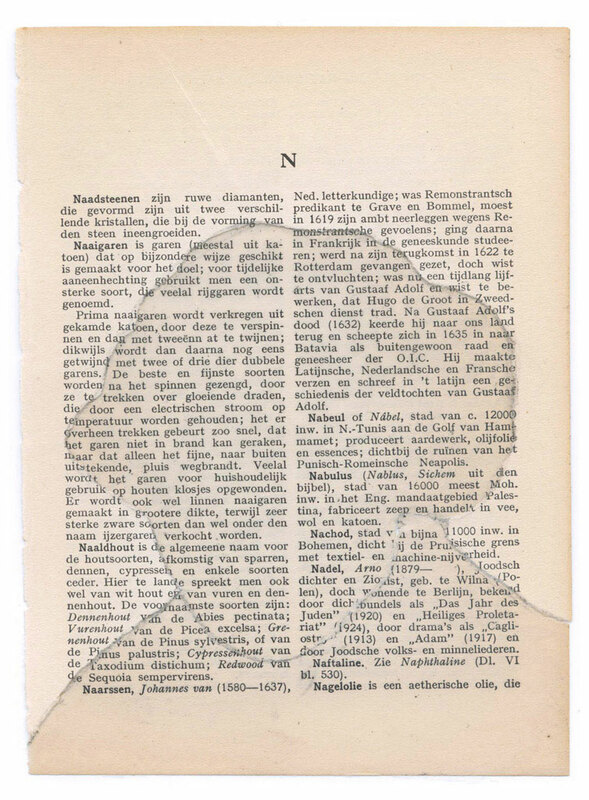 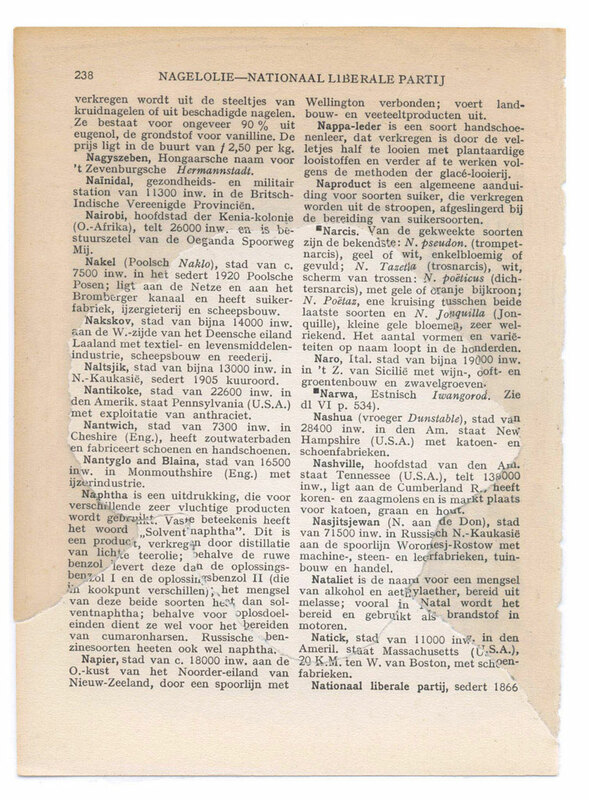 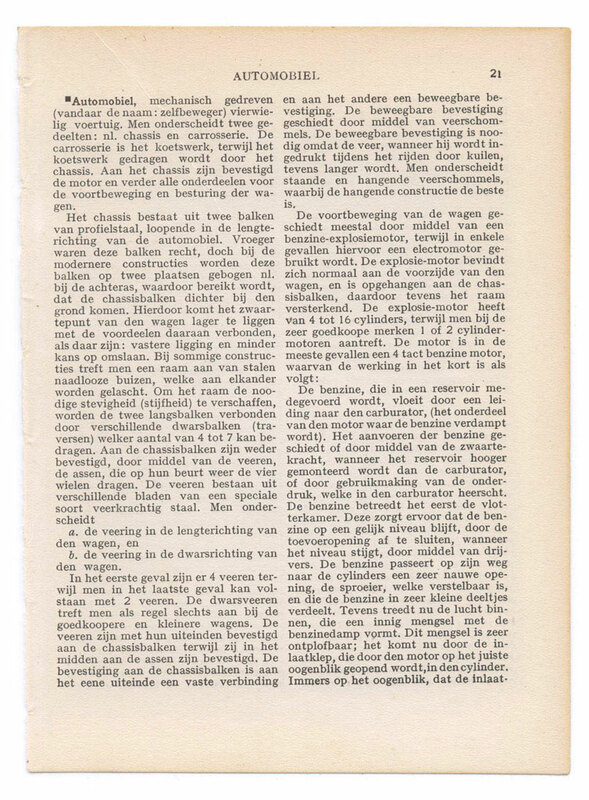 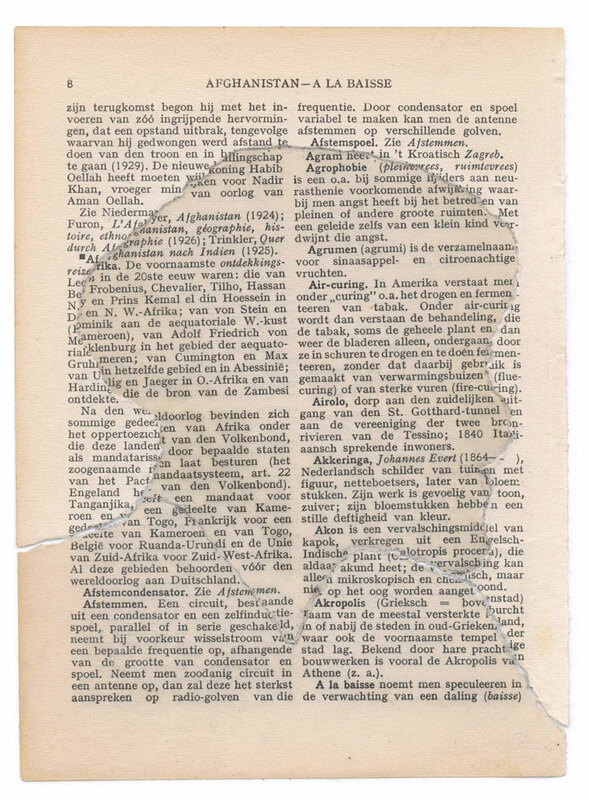 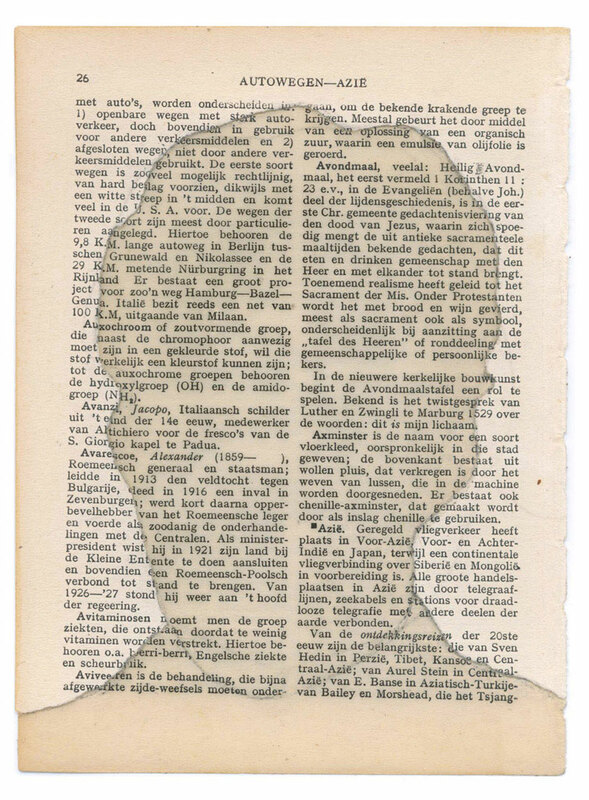 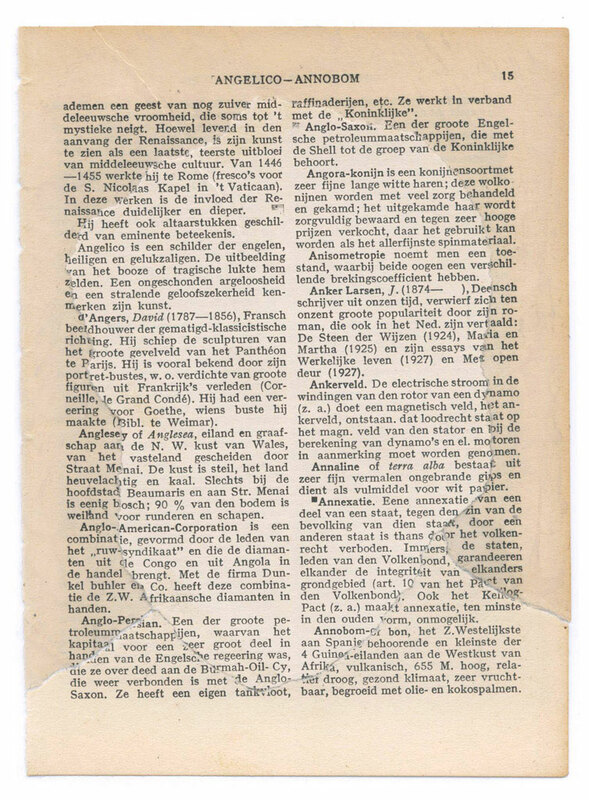 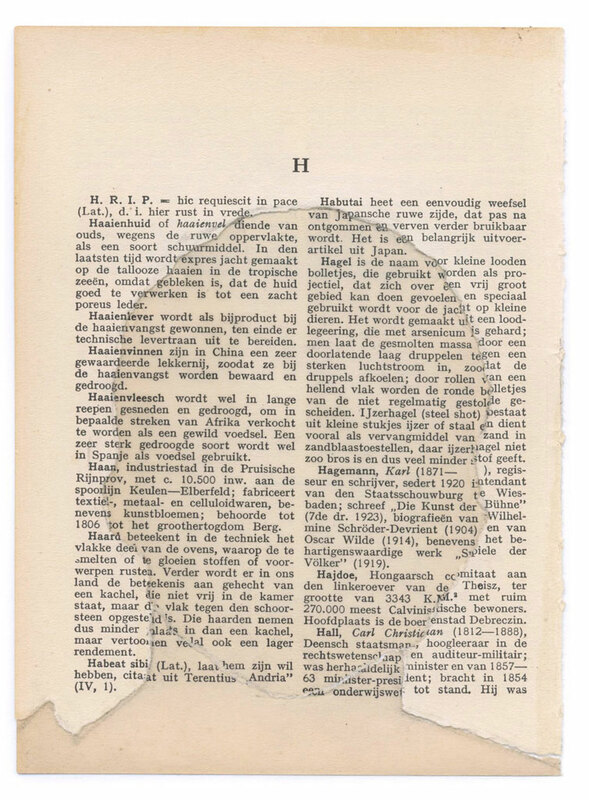 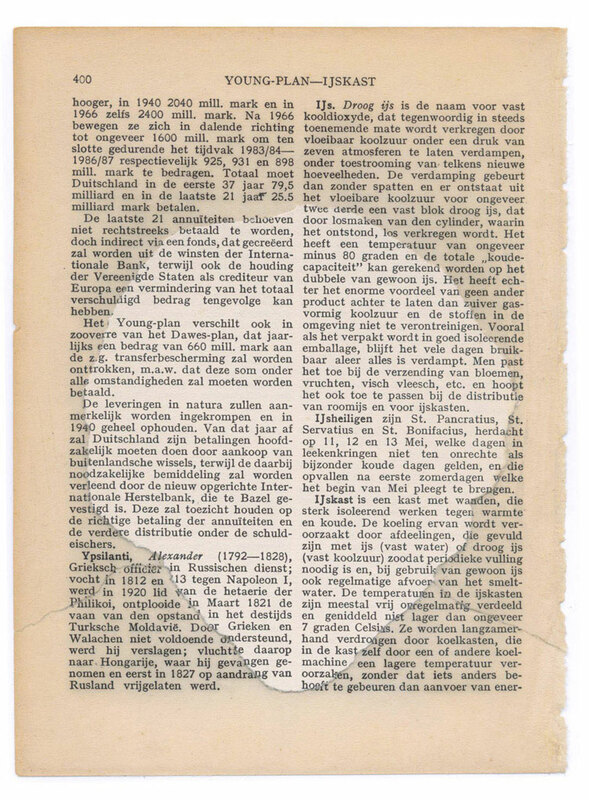 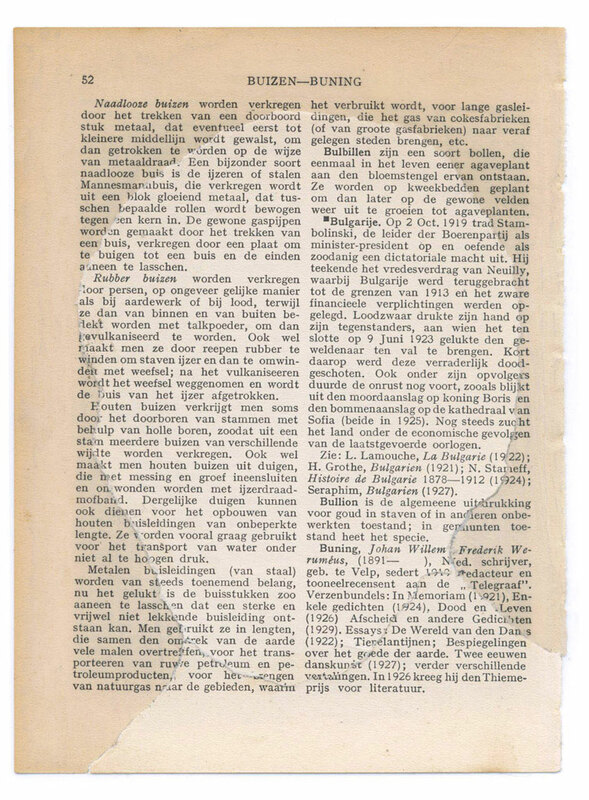 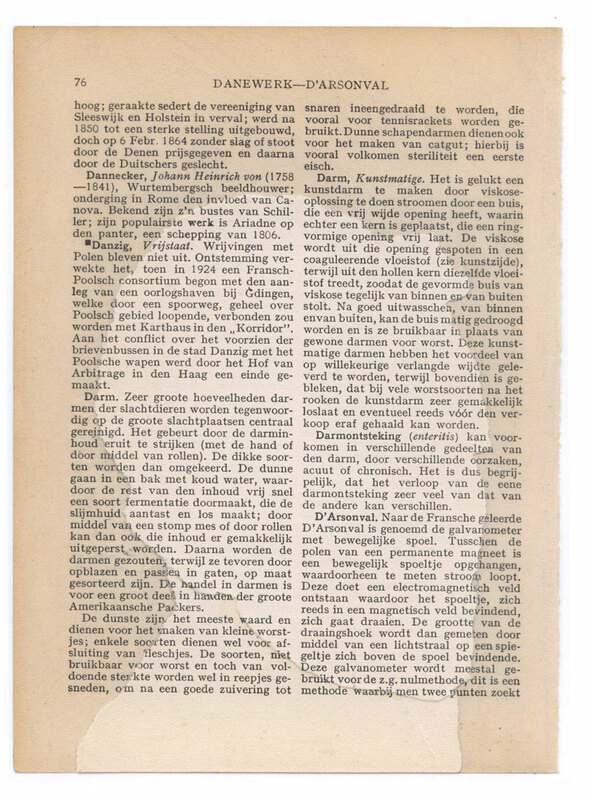 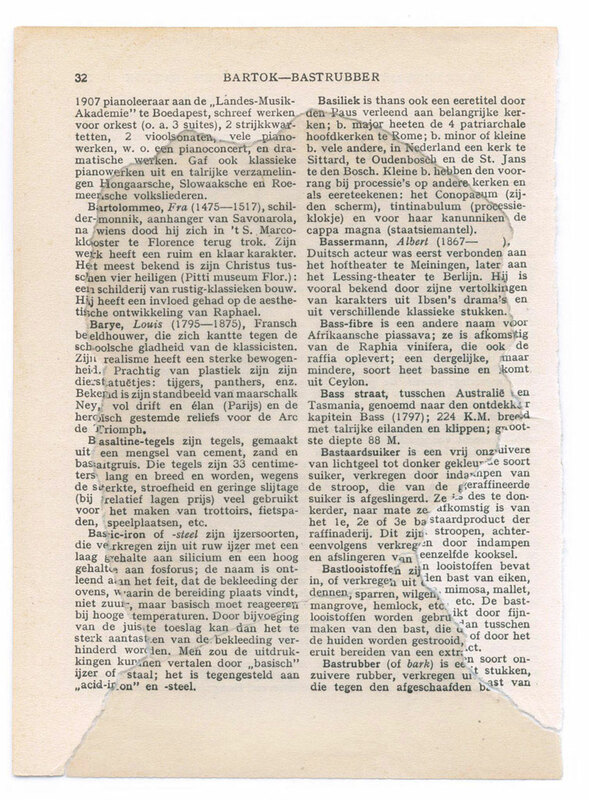 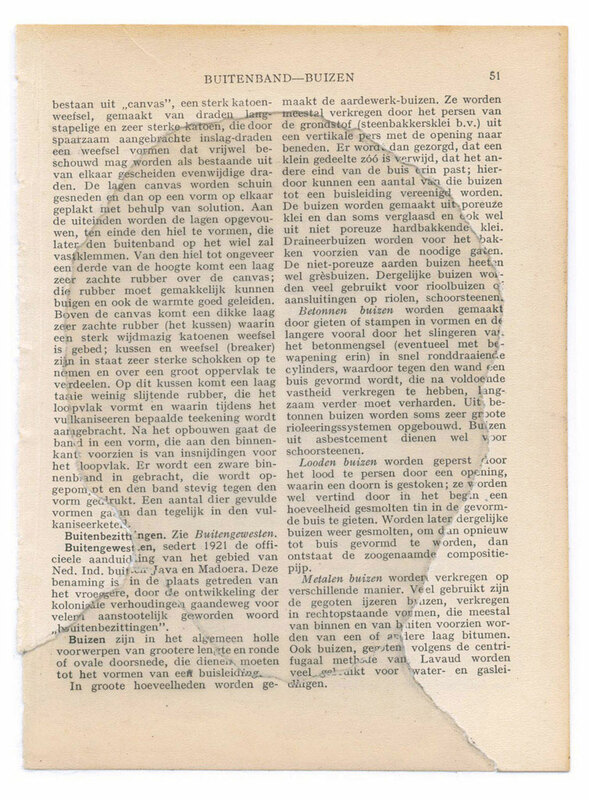 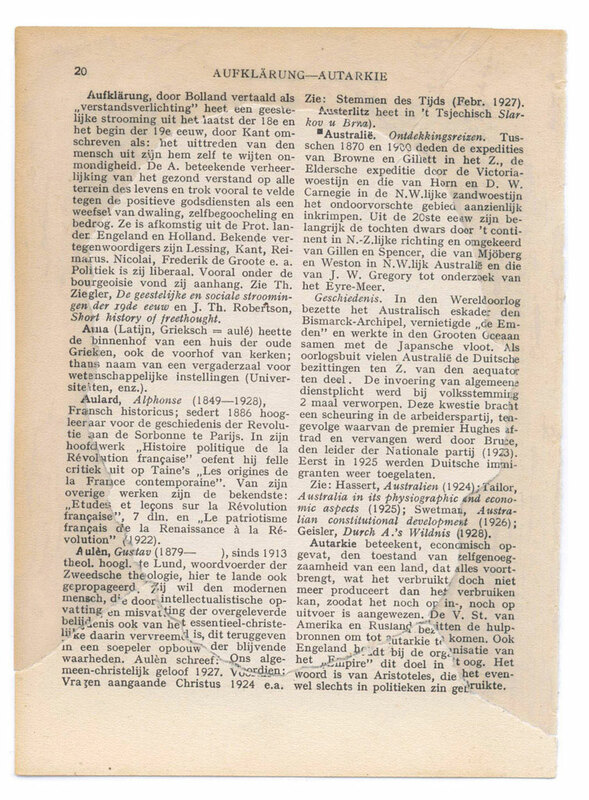 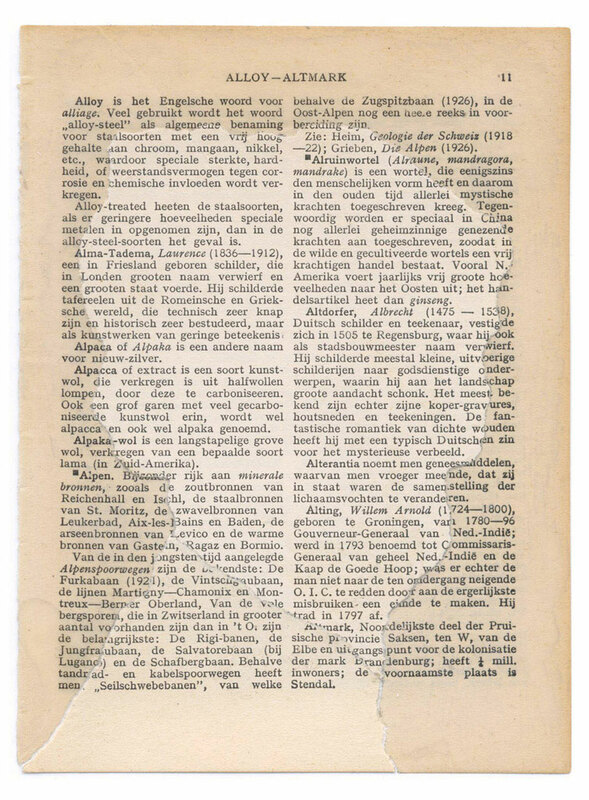 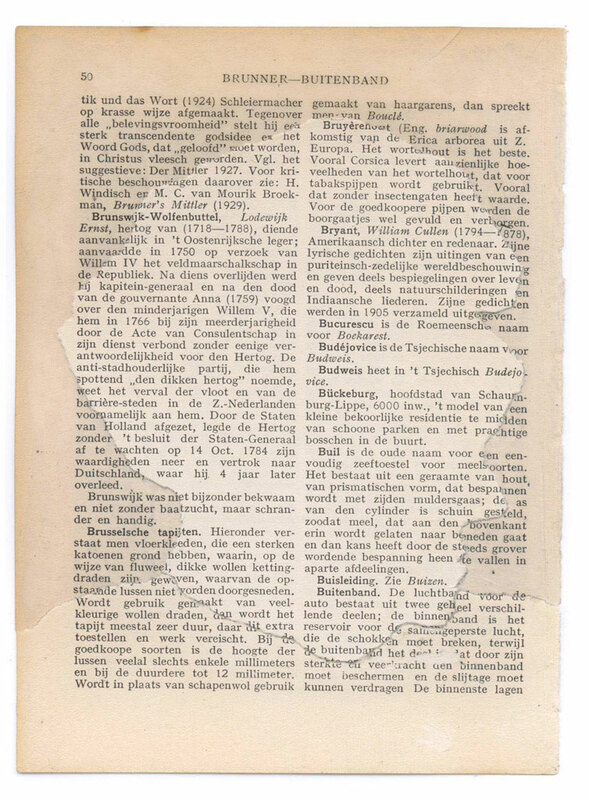 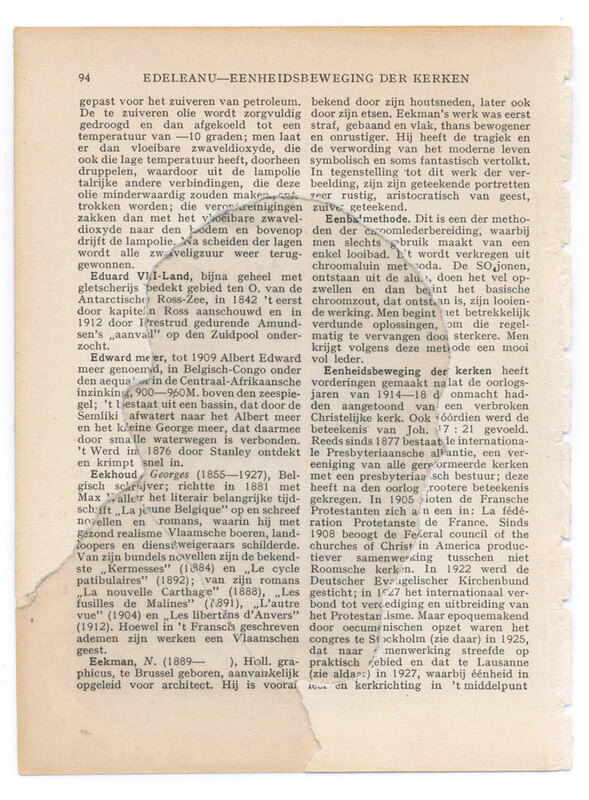 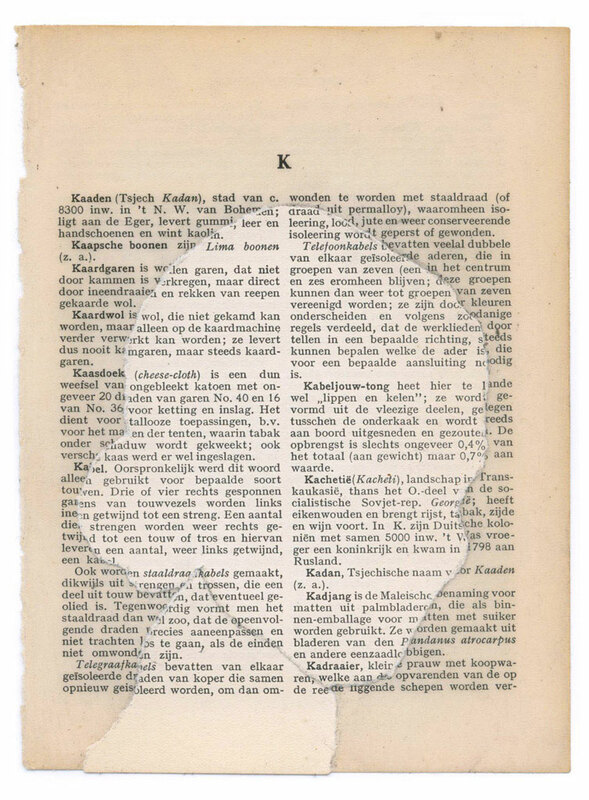 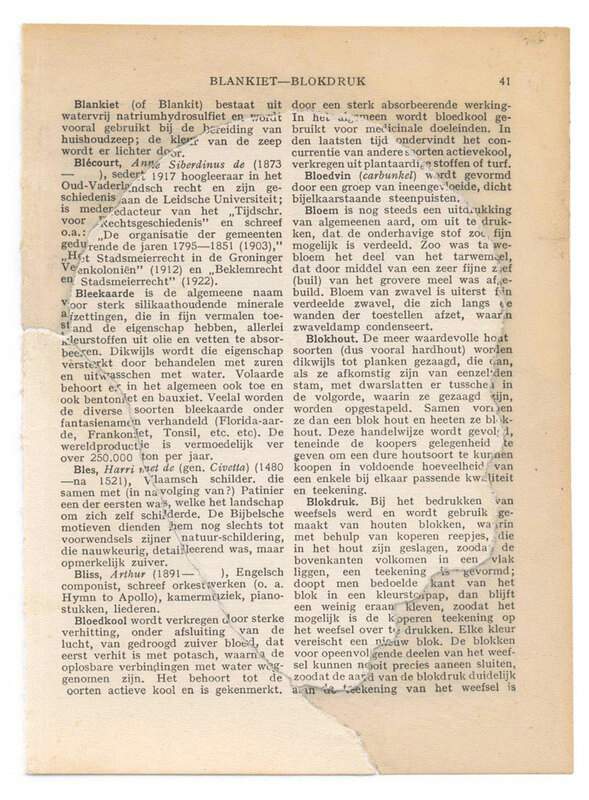 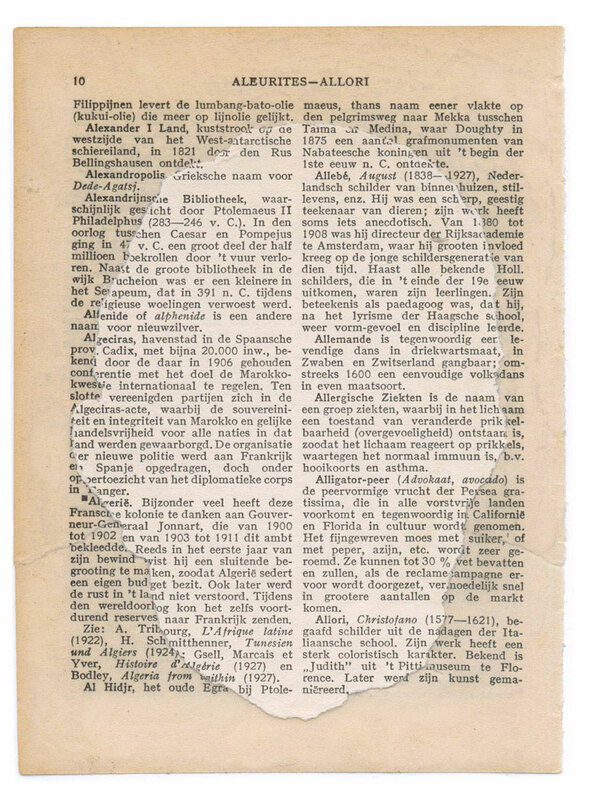 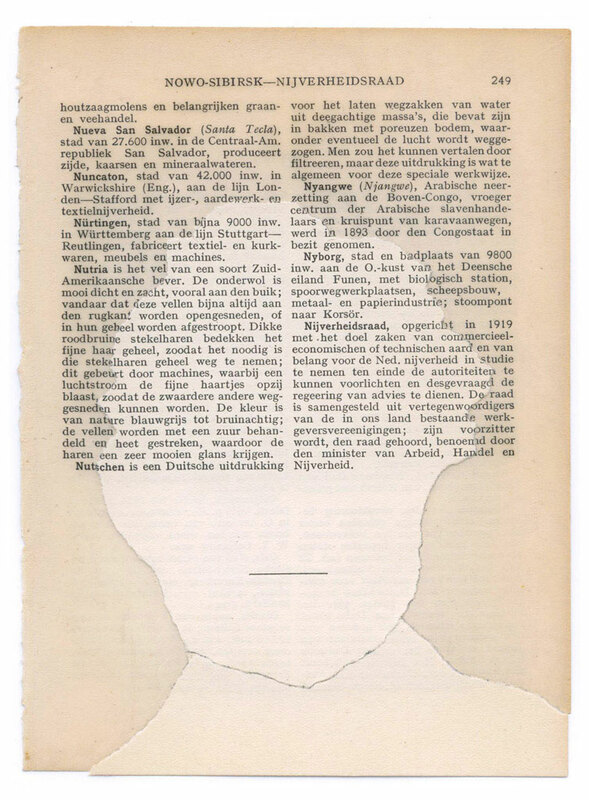 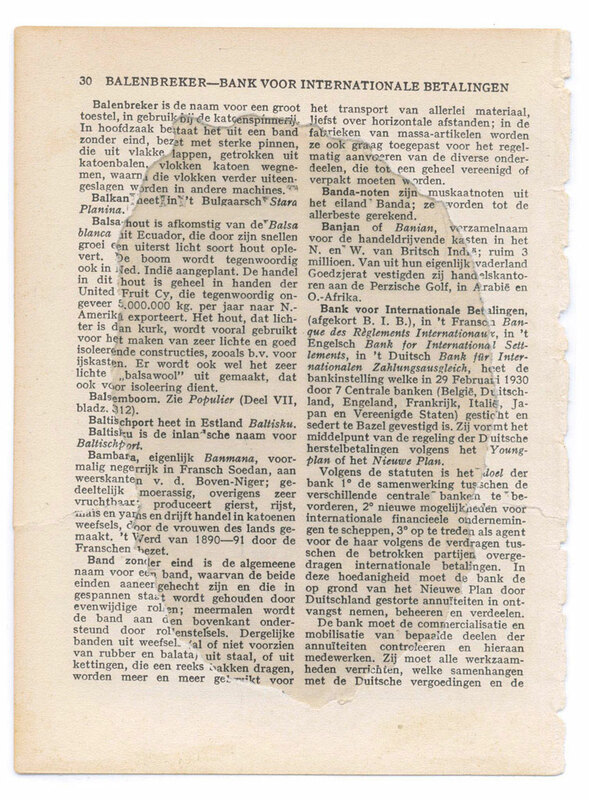 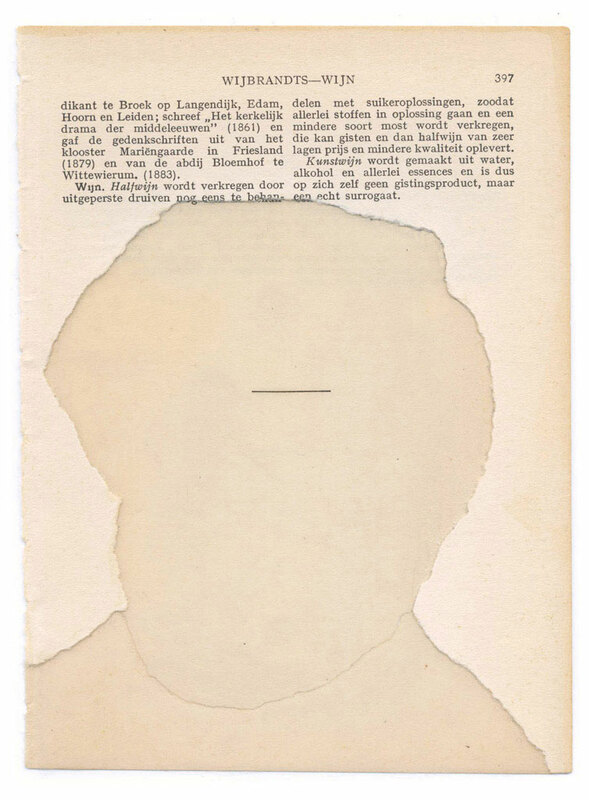 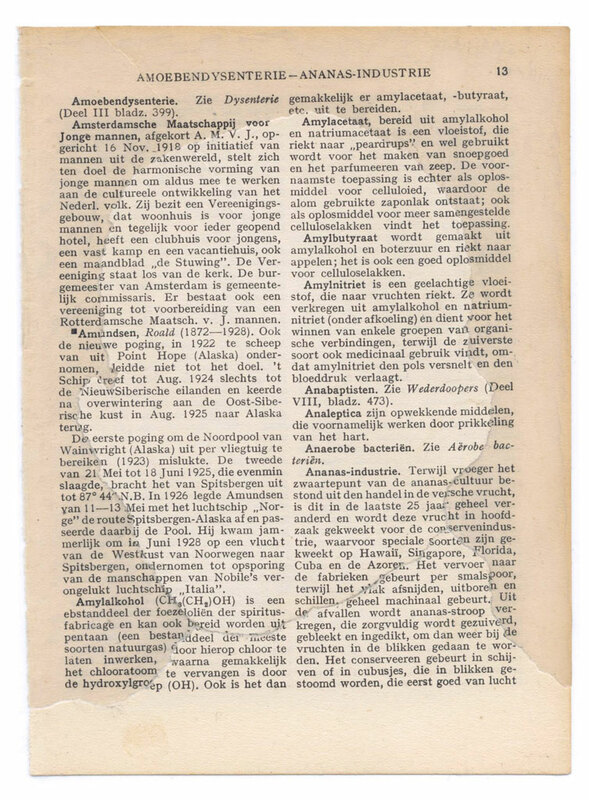 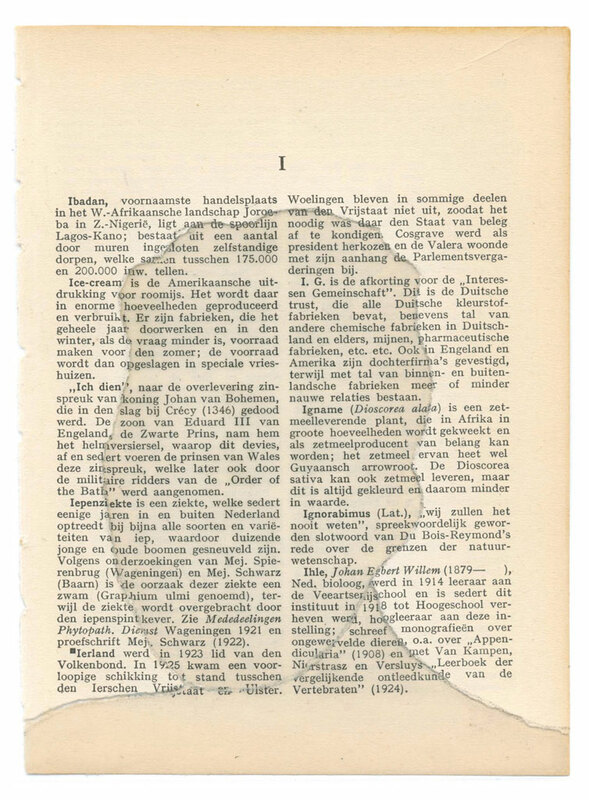 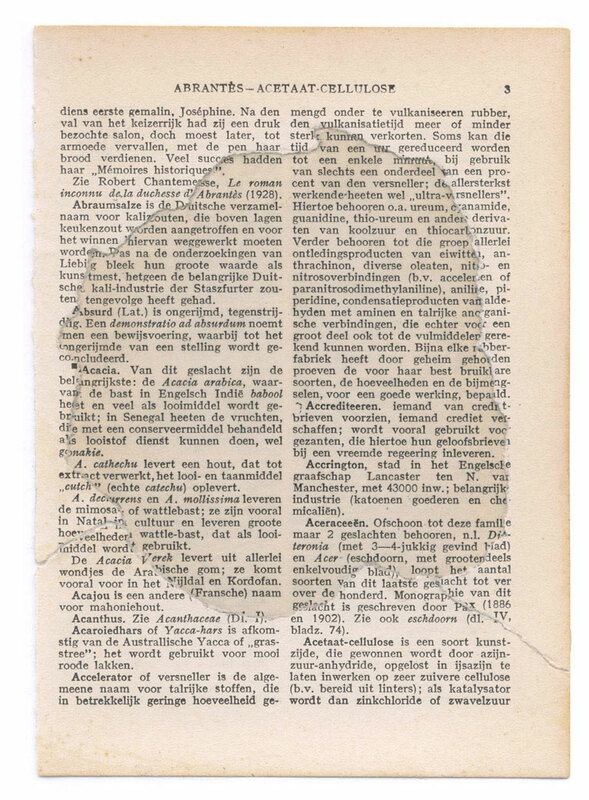 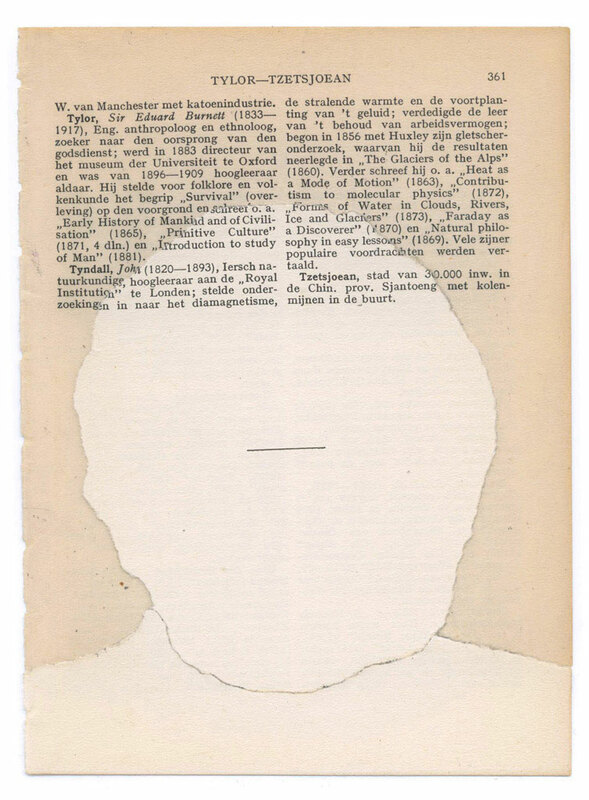 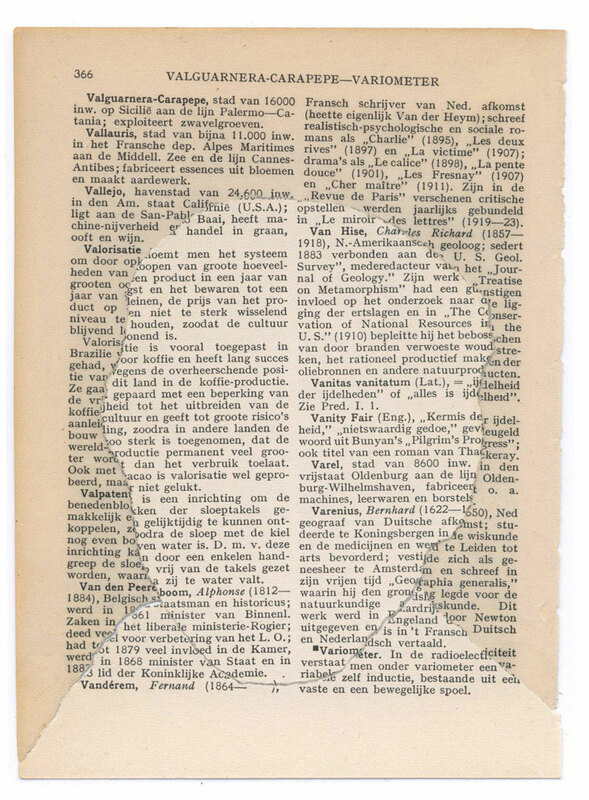 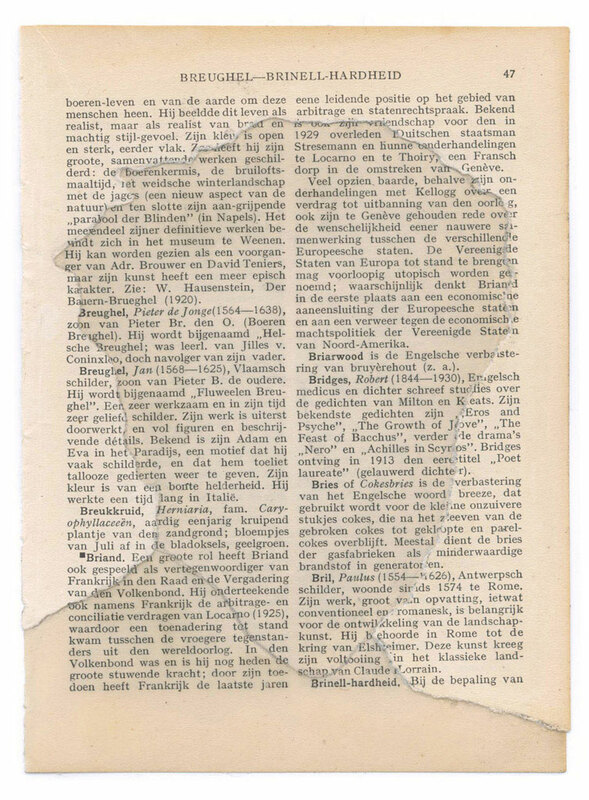 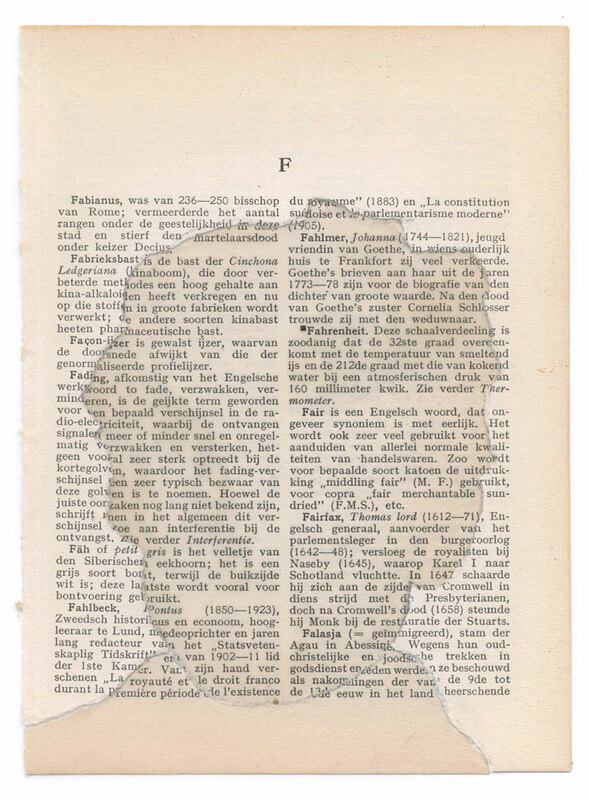 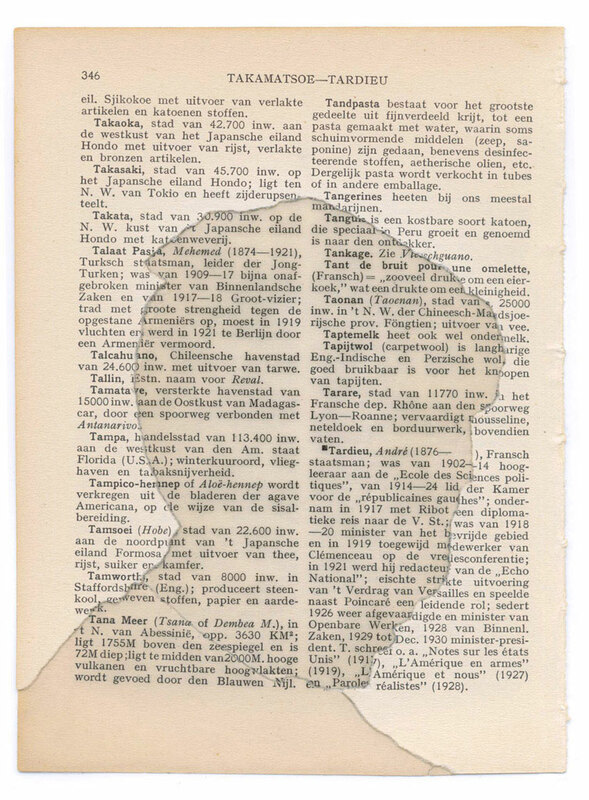 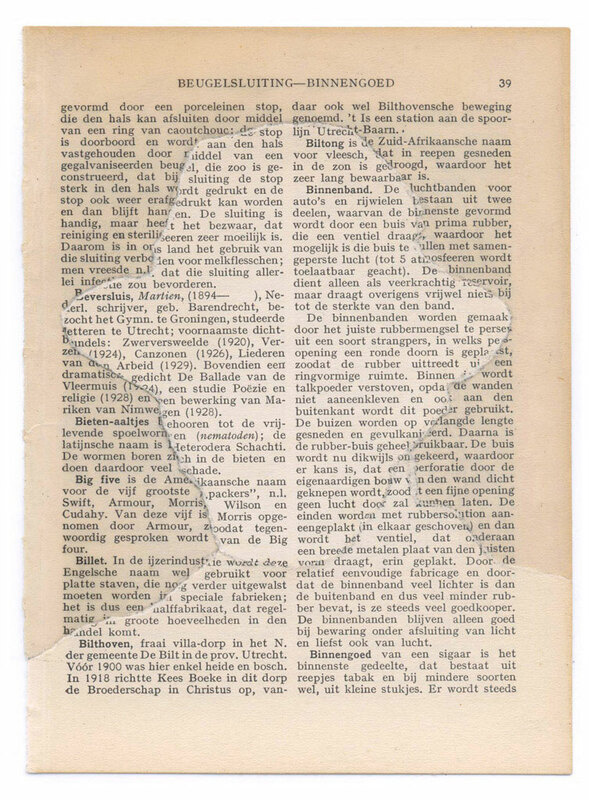 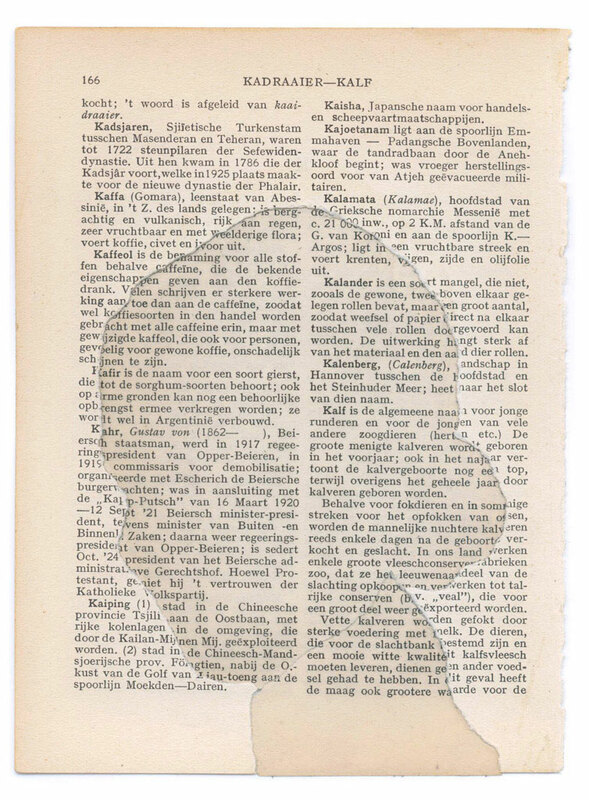 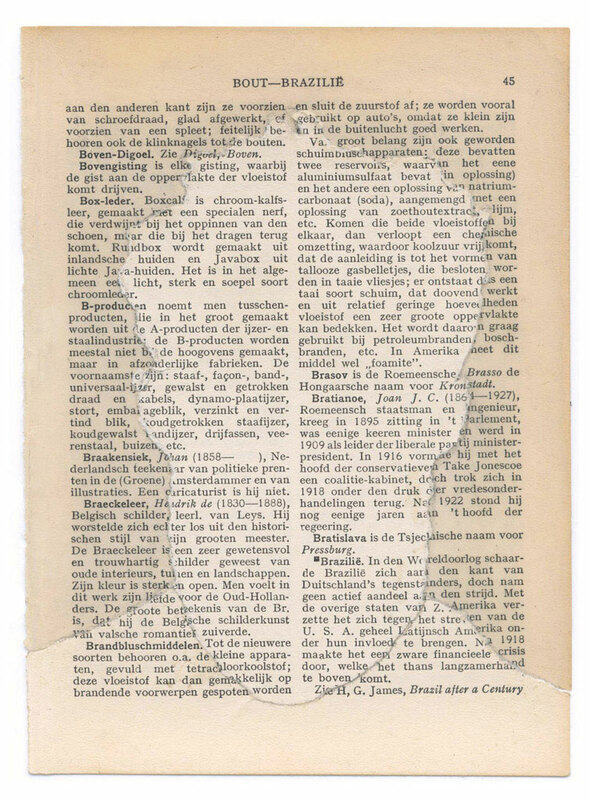 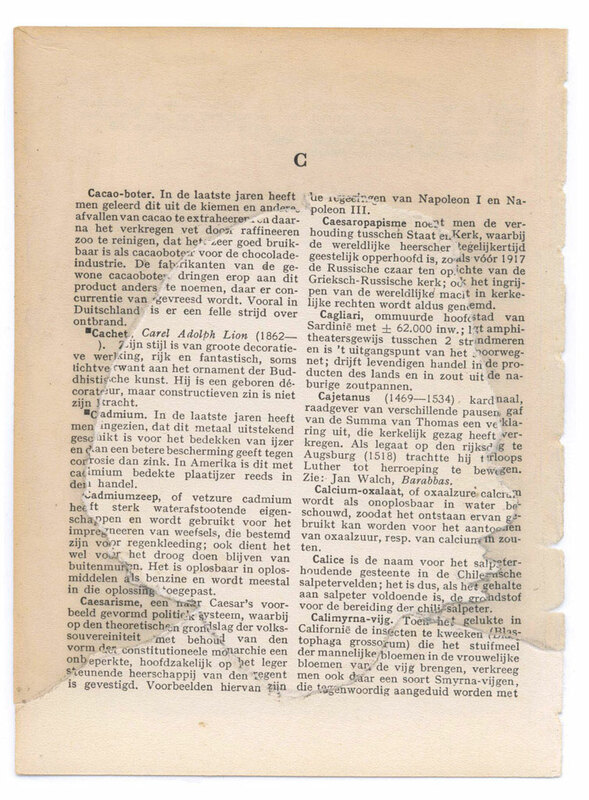 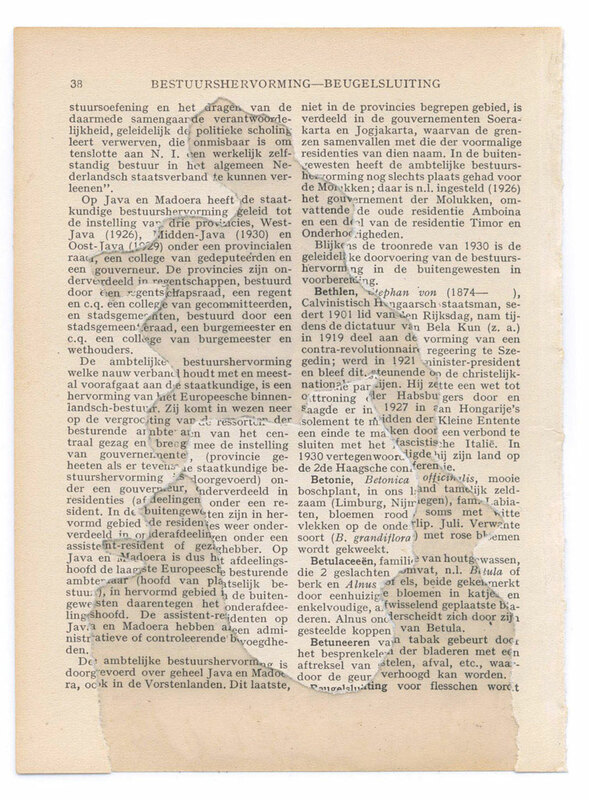 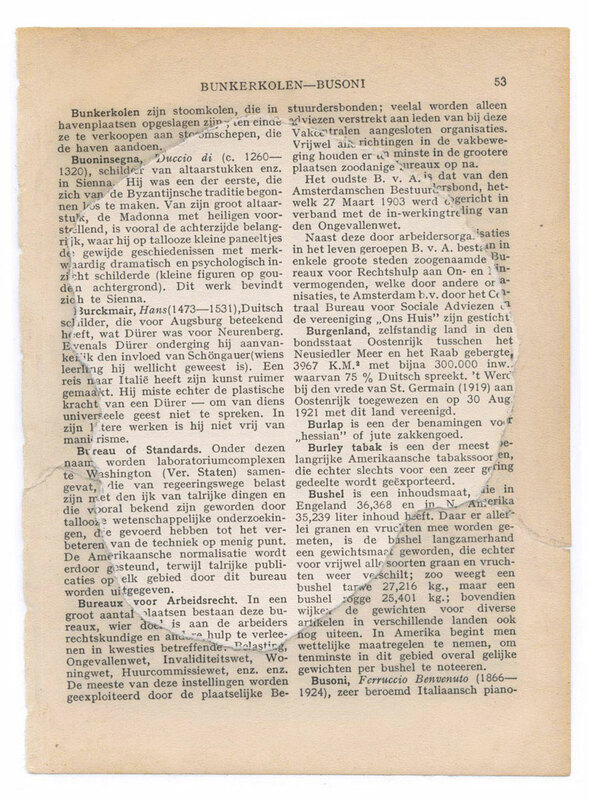 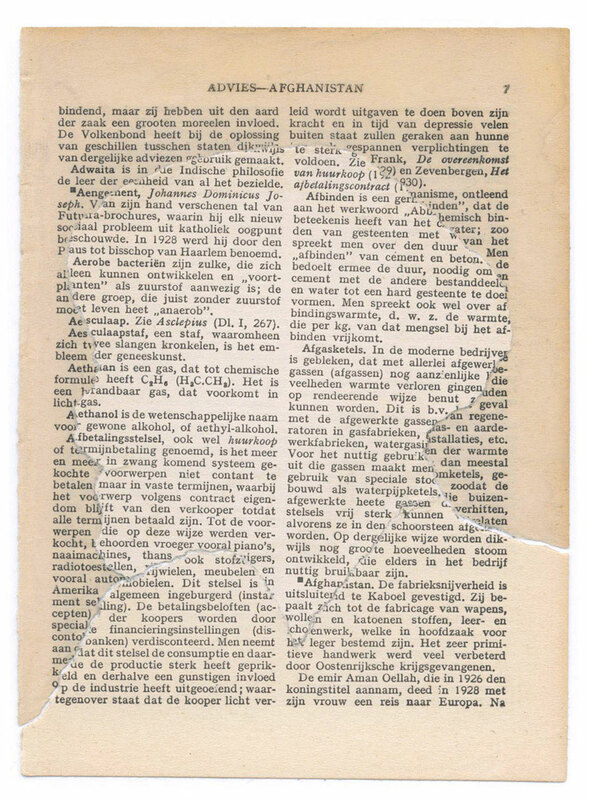 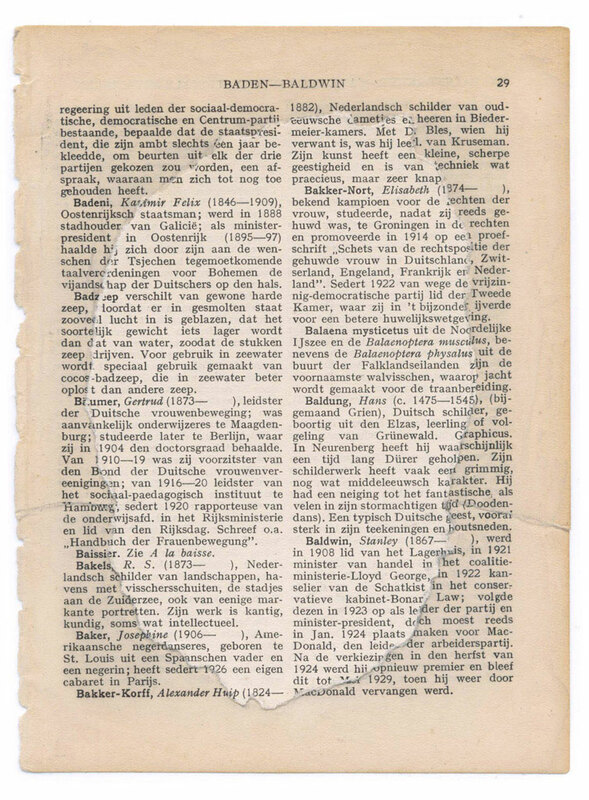 Supplement (2010), Updated encyclopedia Supplement (2005-2010), Zoek-licht Encyclopaedie (1922-1925, Supplement 1931), torn paper on plastic sheet (207 ×), 12.5 × 17 cm/4.9 × 6.7 inches (paper) and 21 × 29.7 cm/8.3 × 11.7 inches (plastic) each. 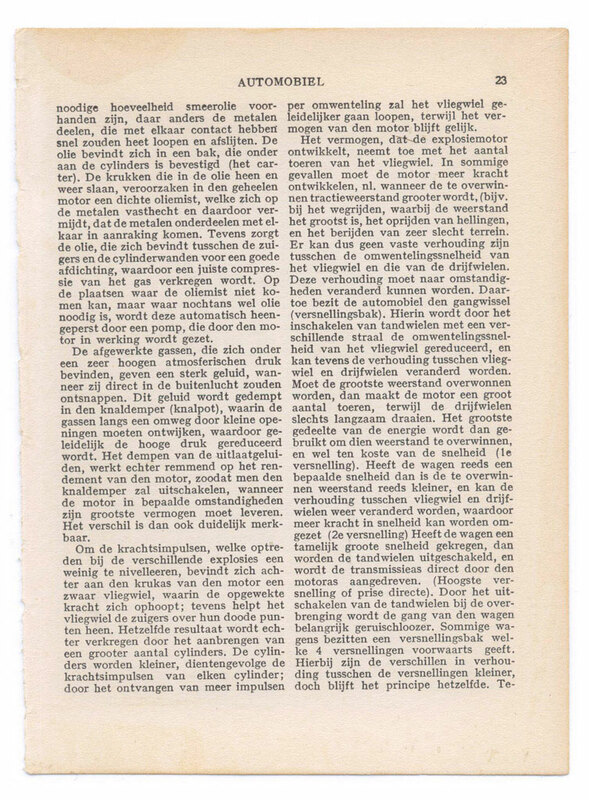 Installation with 15 glass table tops and wall text (reference list), trestles and tables 159 × 68.4 cm × 74 cm/62.6 × 26.9 × 29.1 inches each. 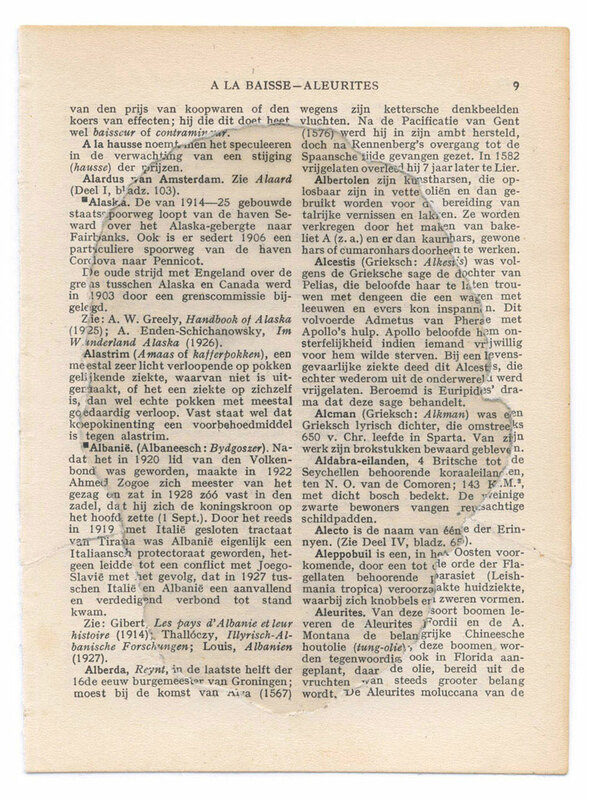 Box 23 × 32 × 11.5 cm/9 × 12.6 × 4.5 inches. 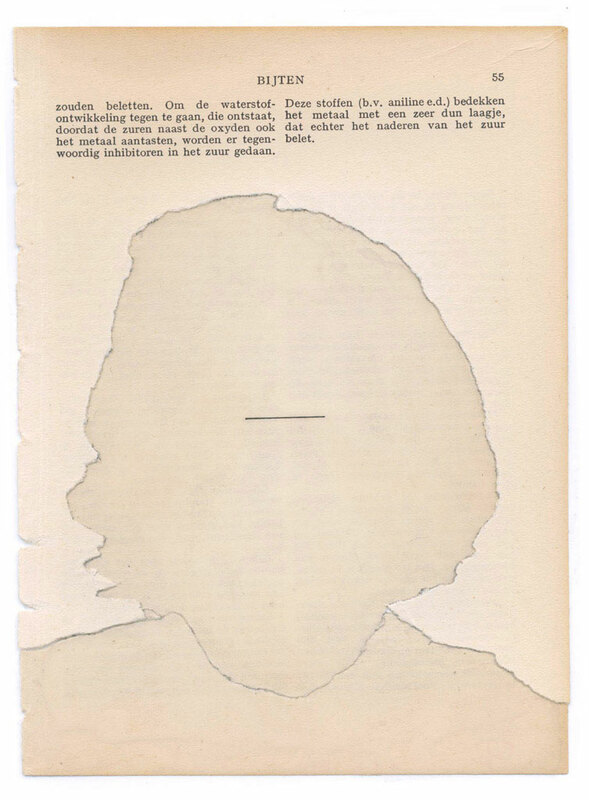 For pictures of the installation see Graduation show. 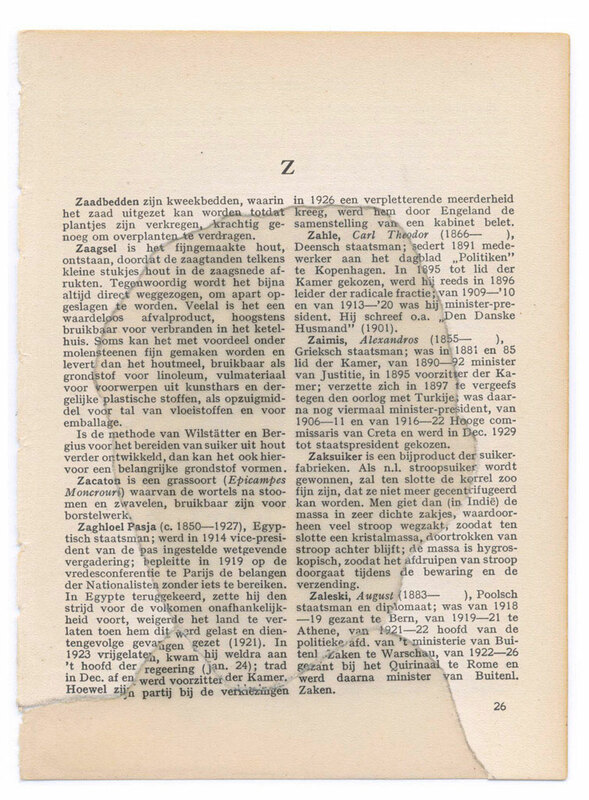 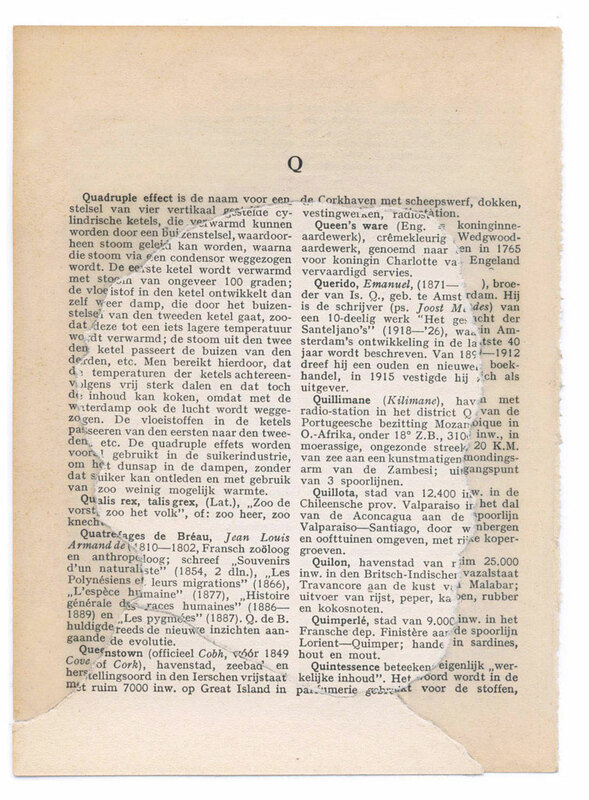 In this excerpt: A-B (in full), and the first page(s) of every letter until Z.